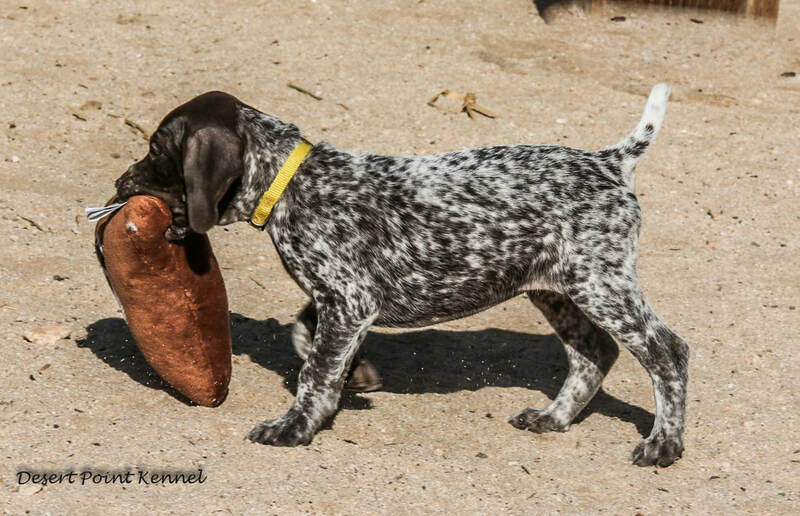 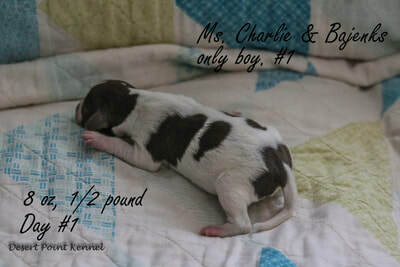 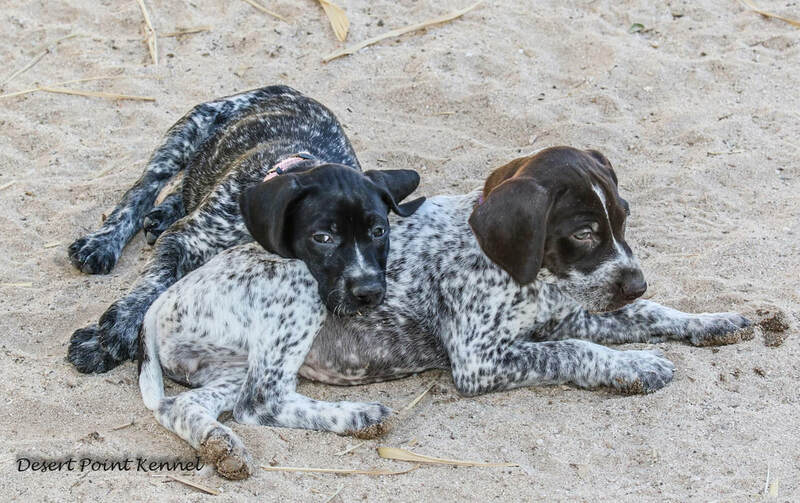 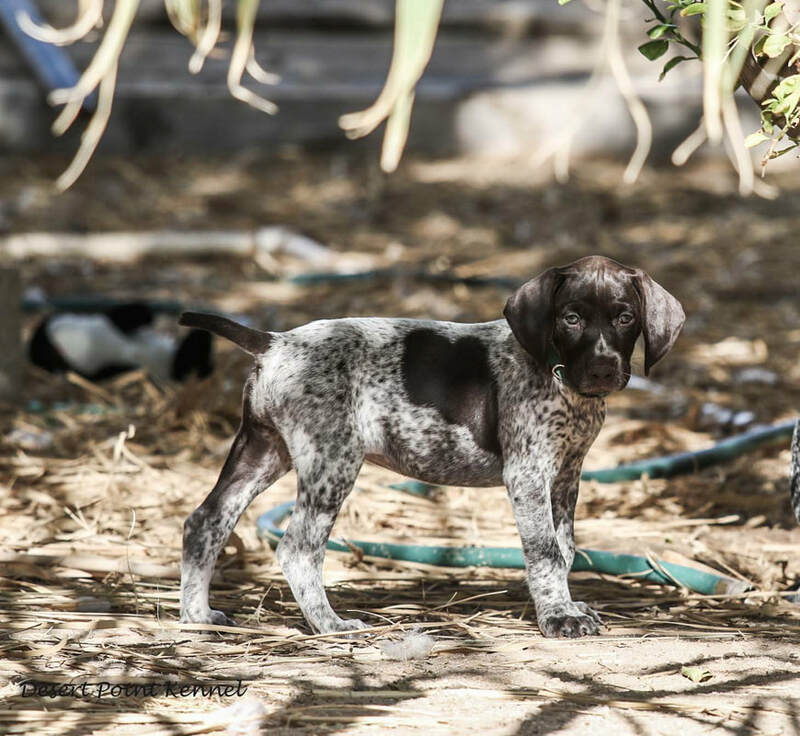 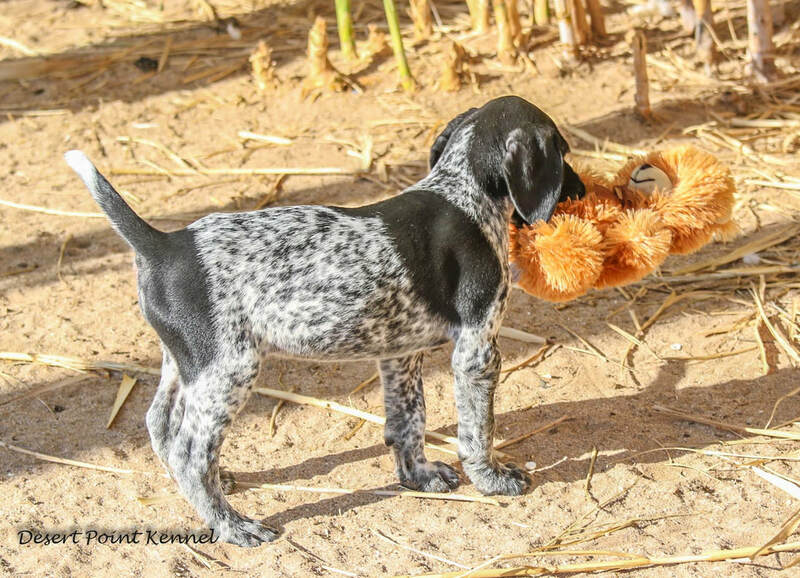 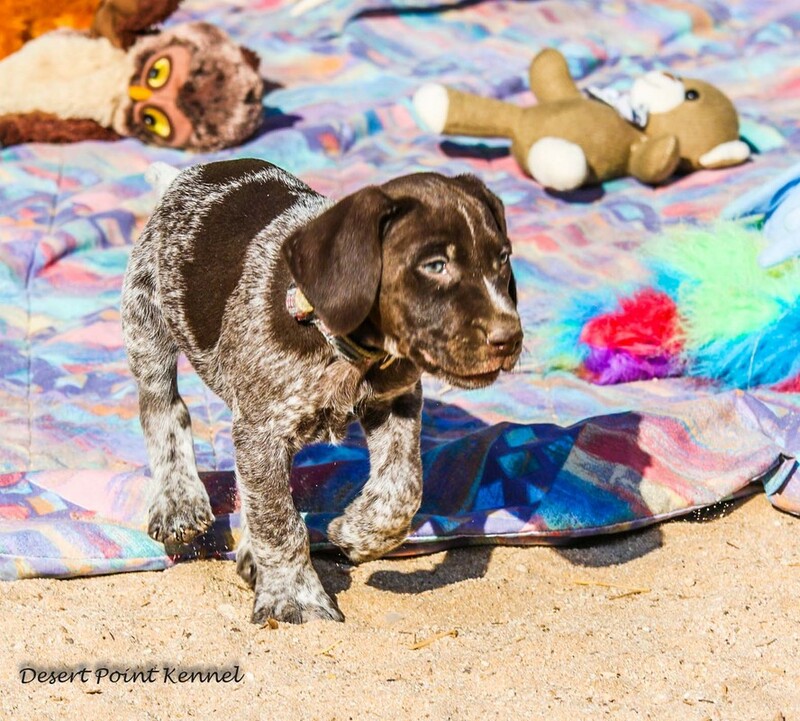 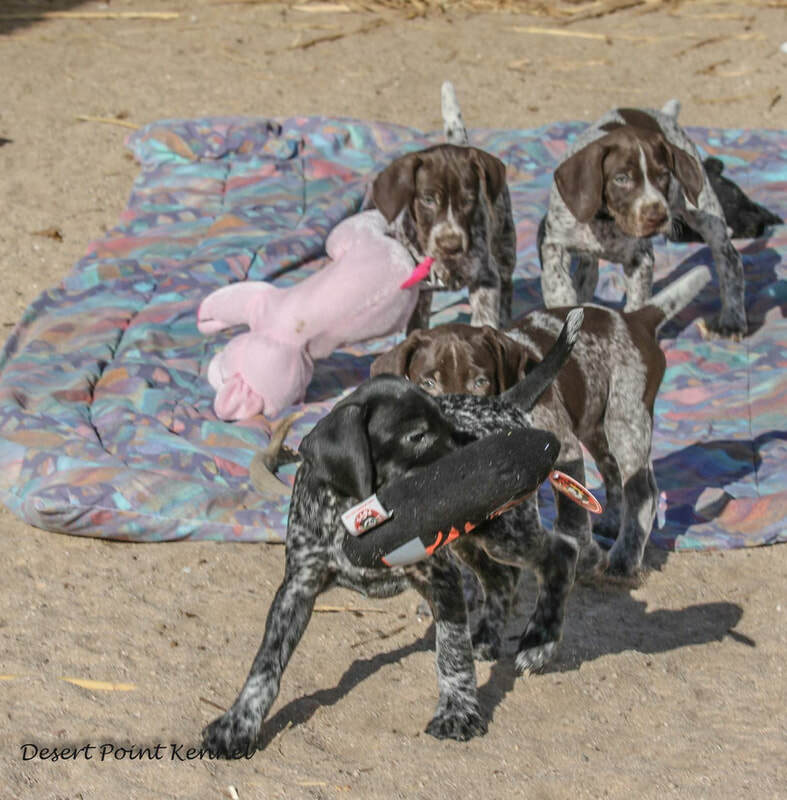 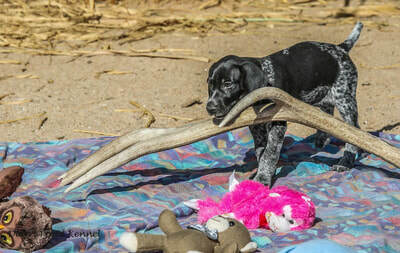 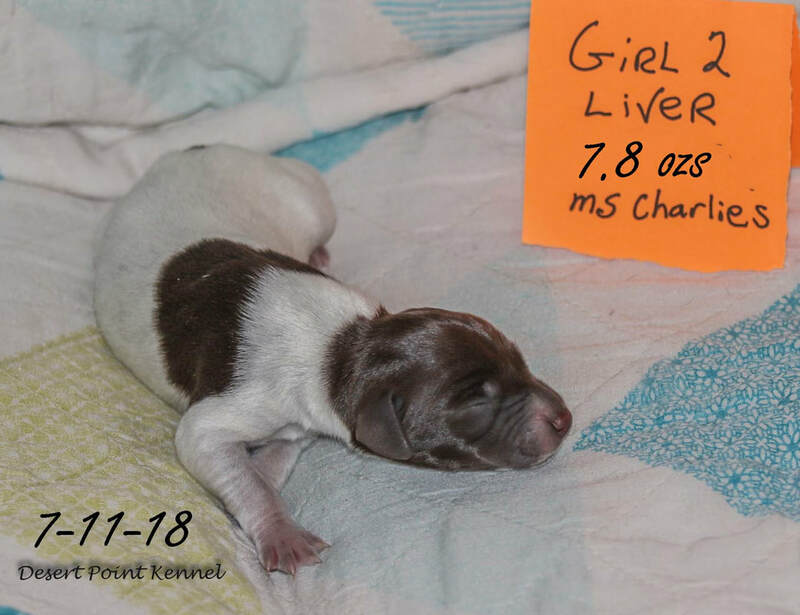 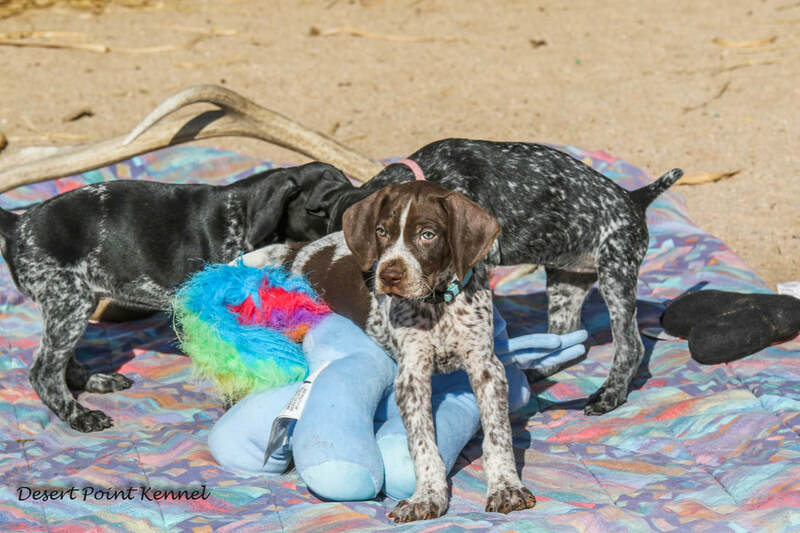 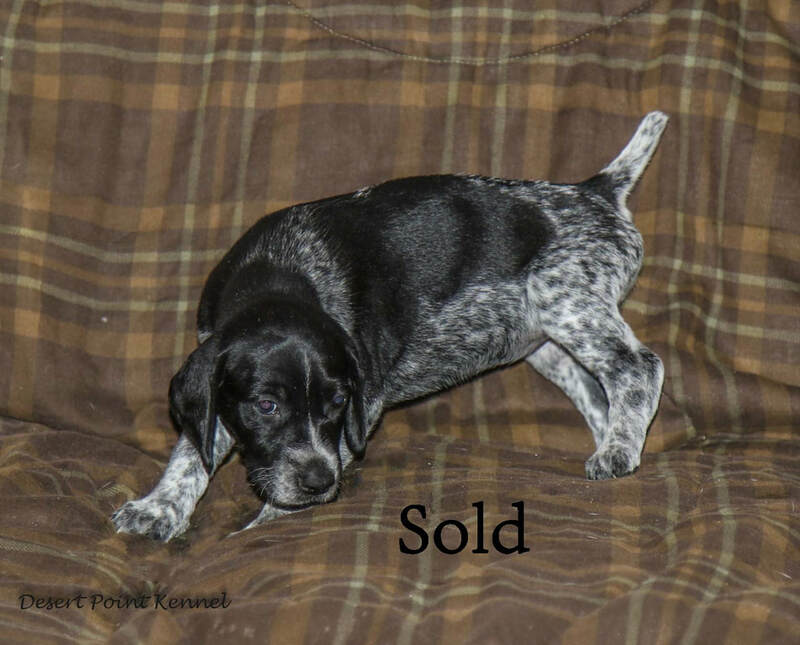 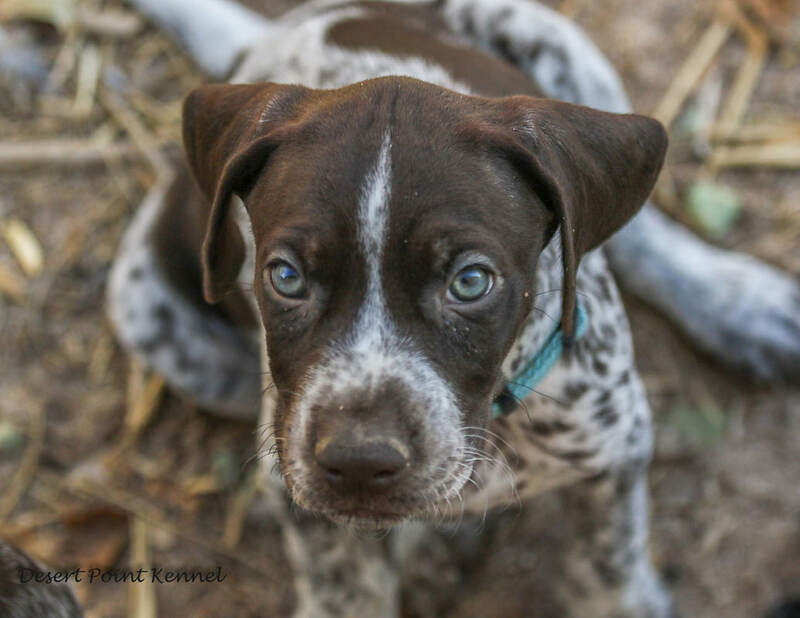 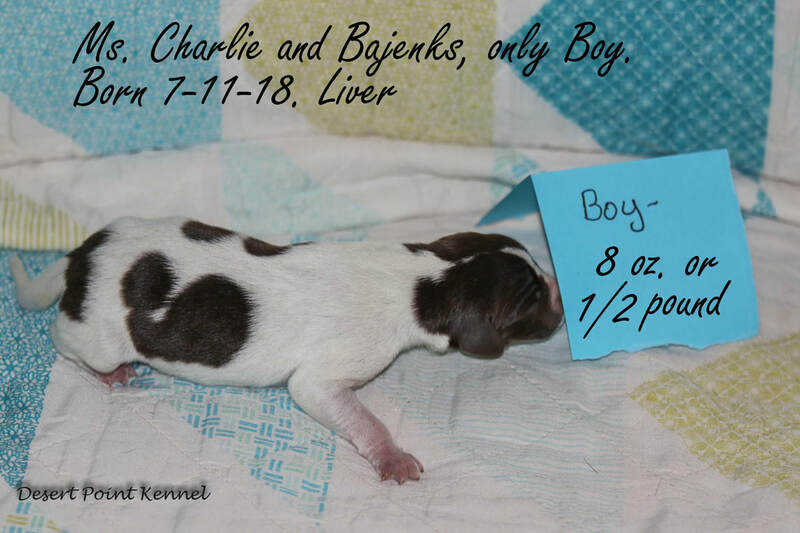 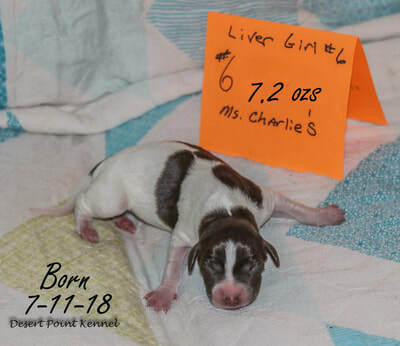 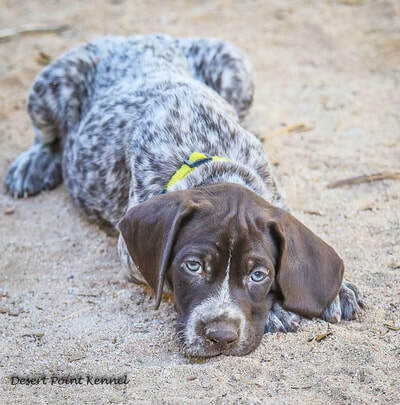 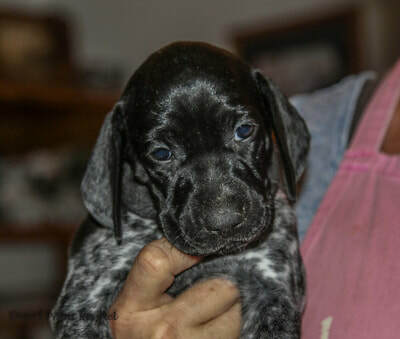 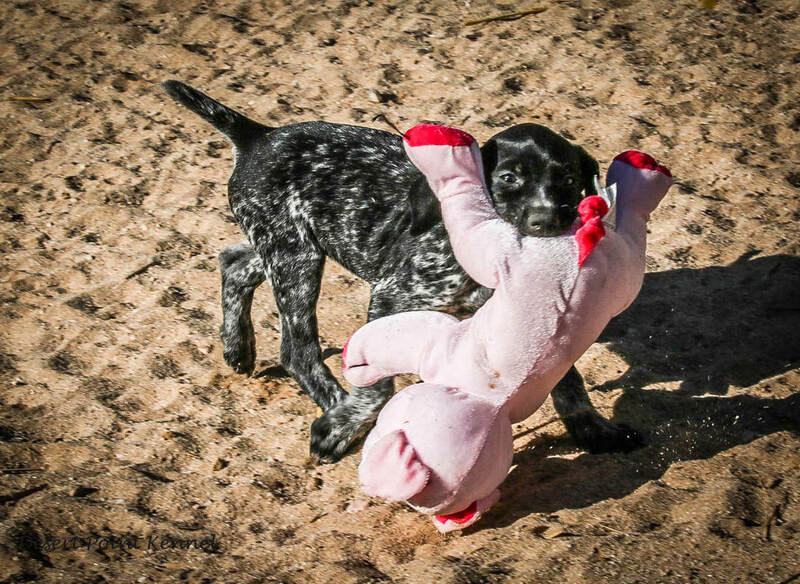 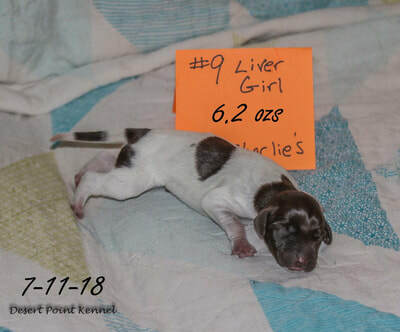 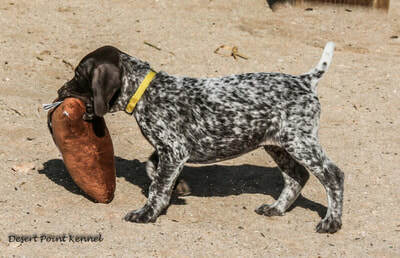 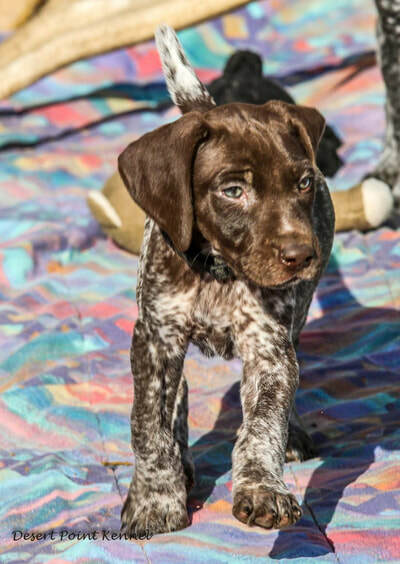 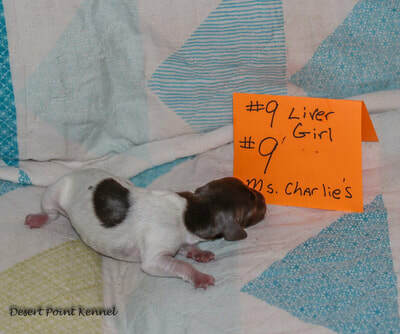 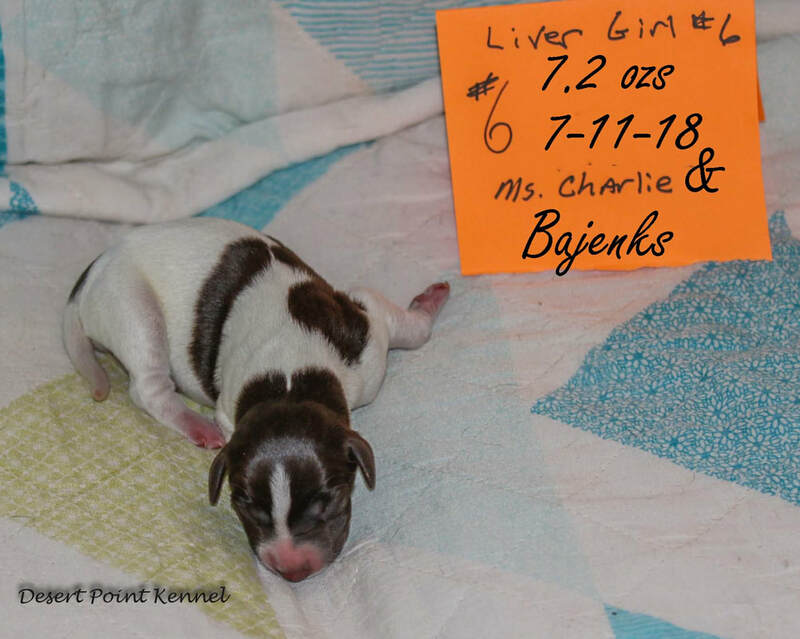 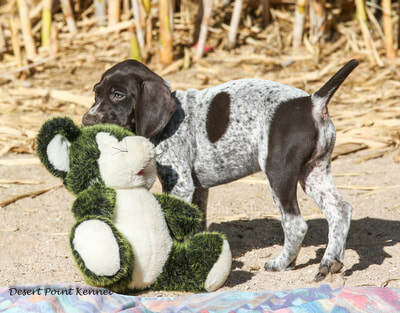 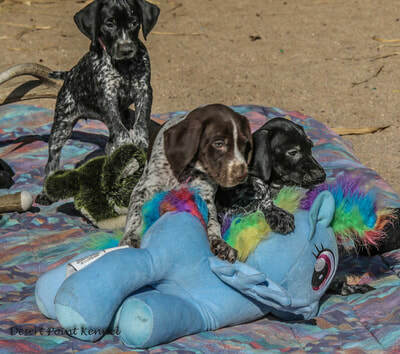 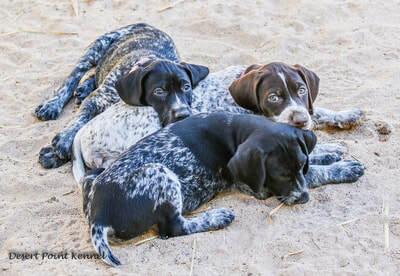 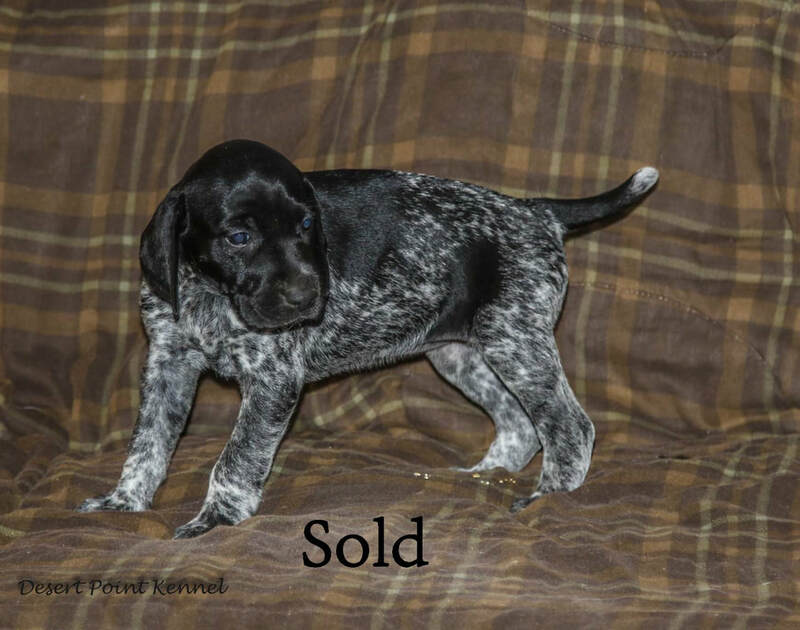 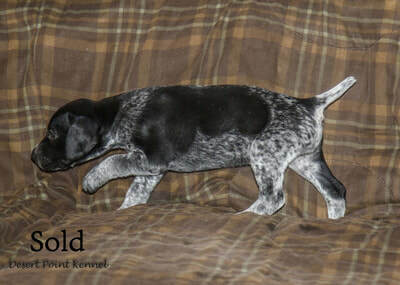 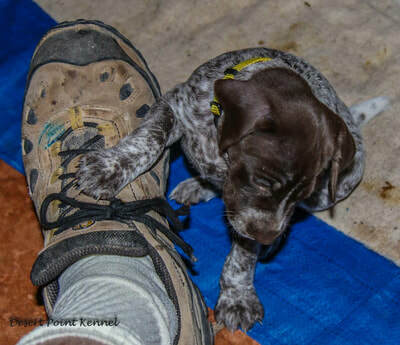 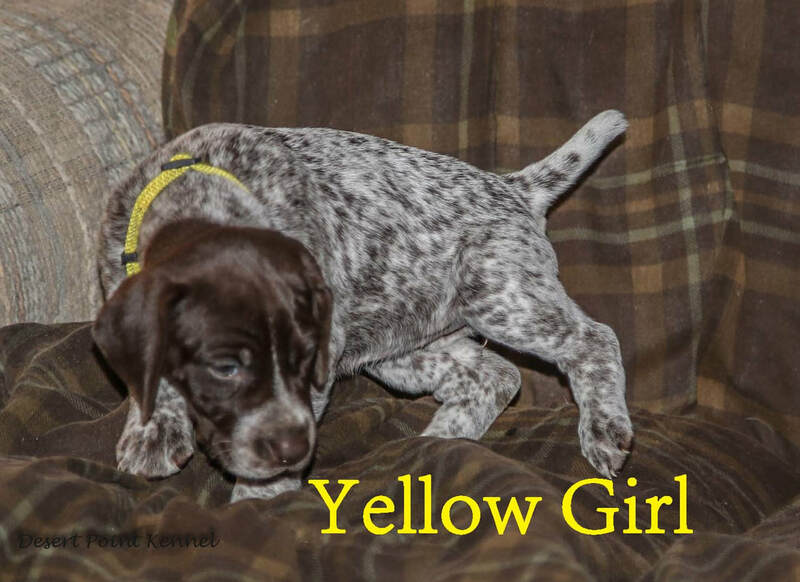 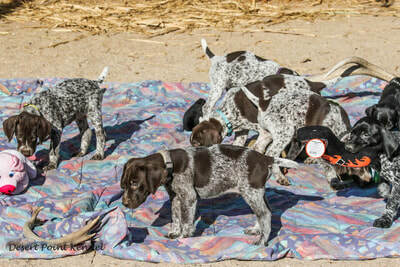 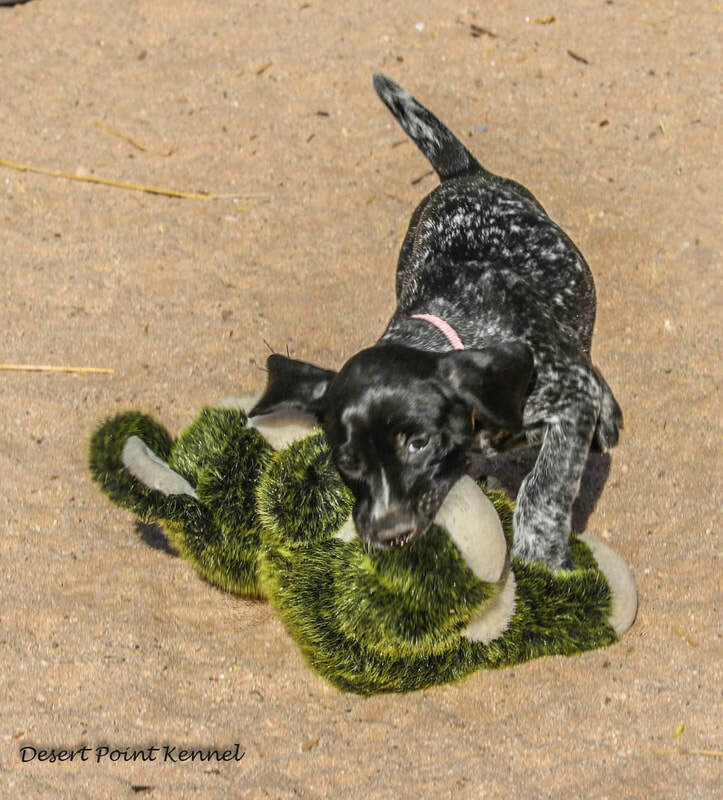 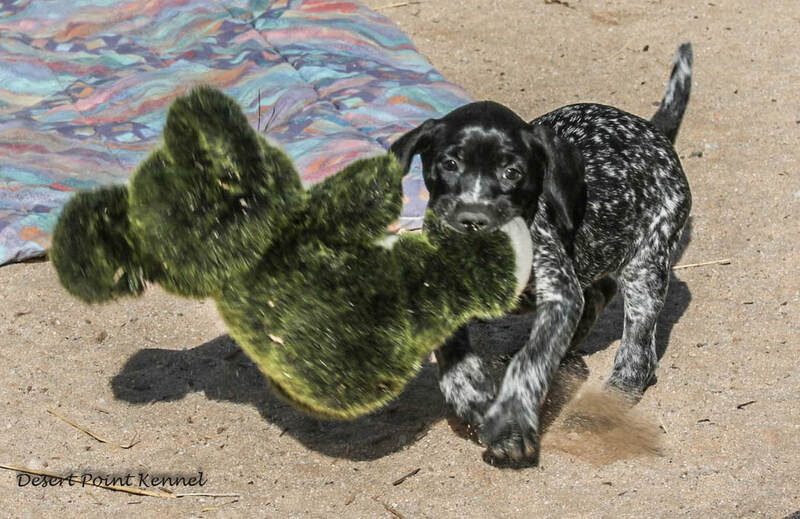 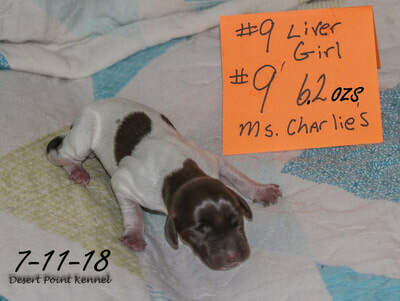 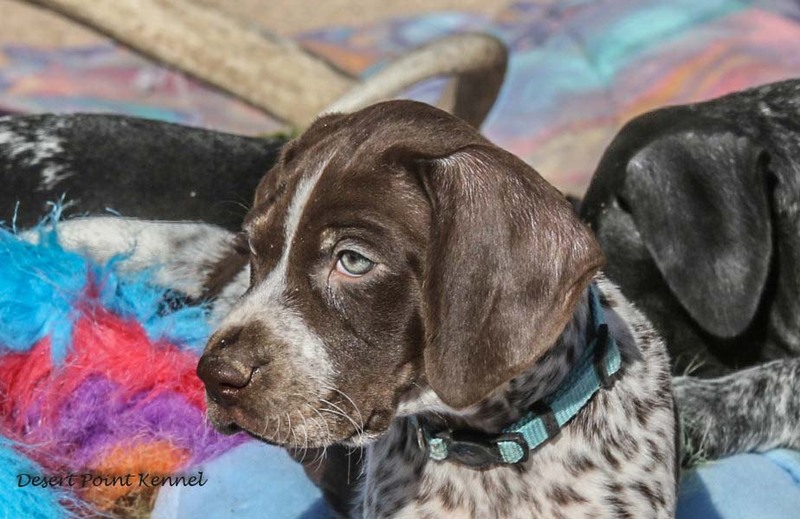 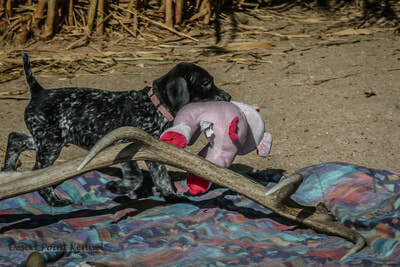 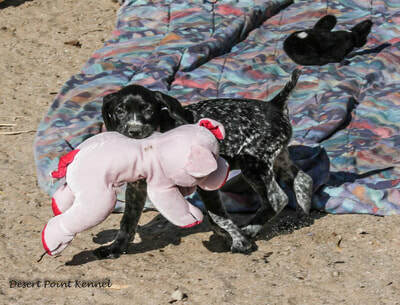 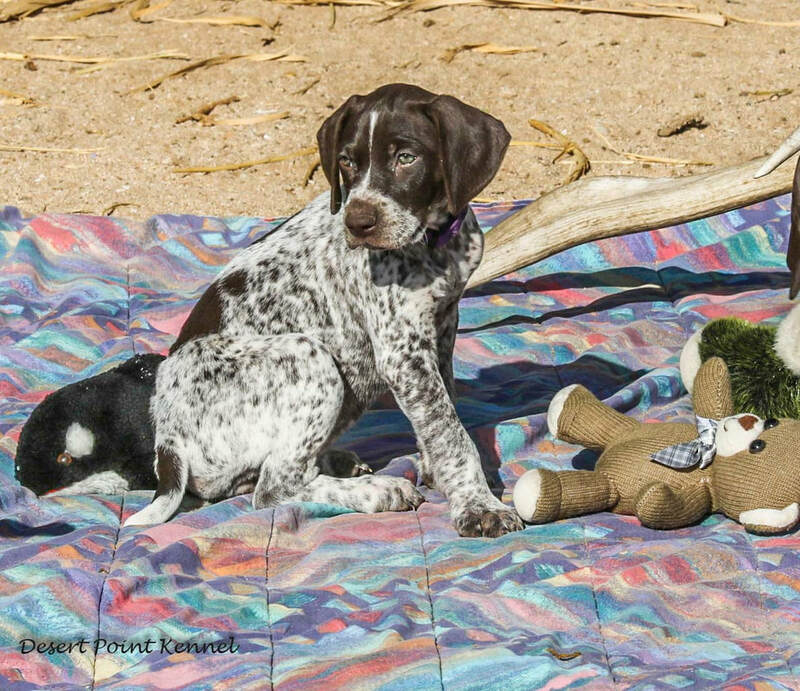 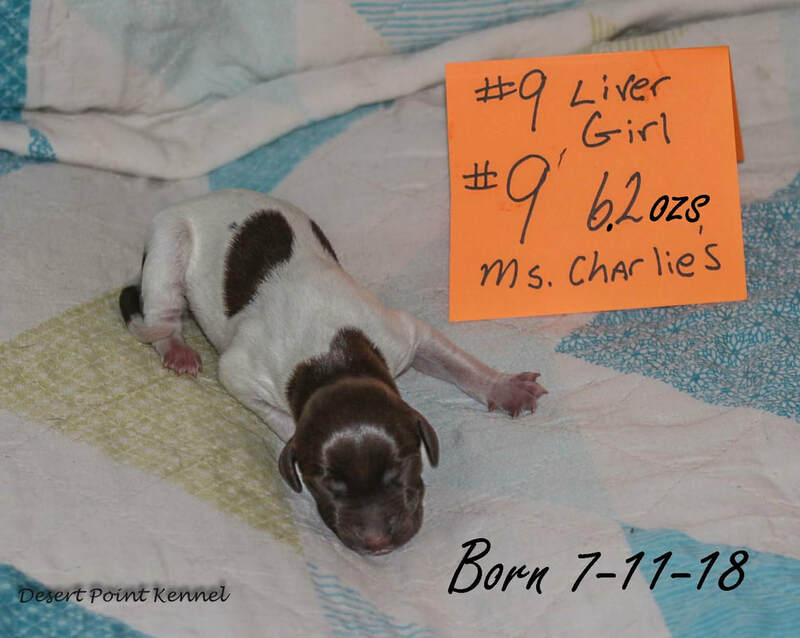 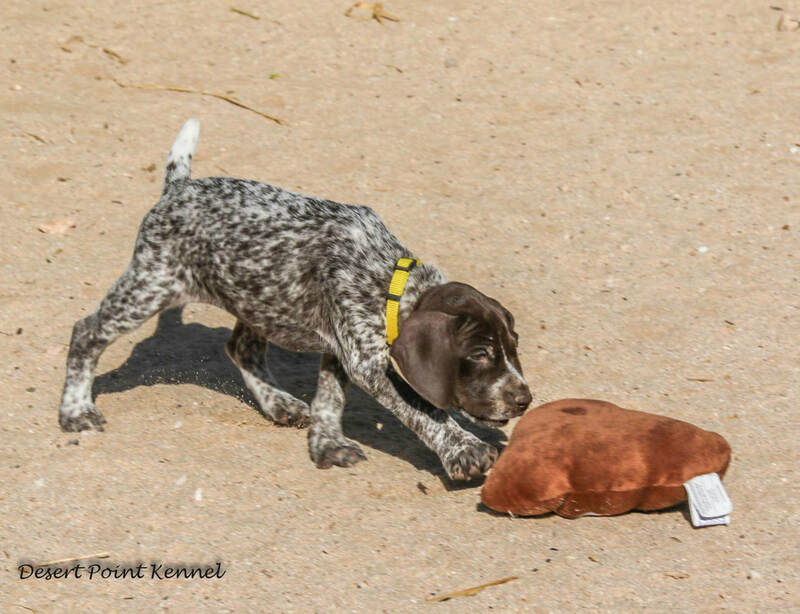 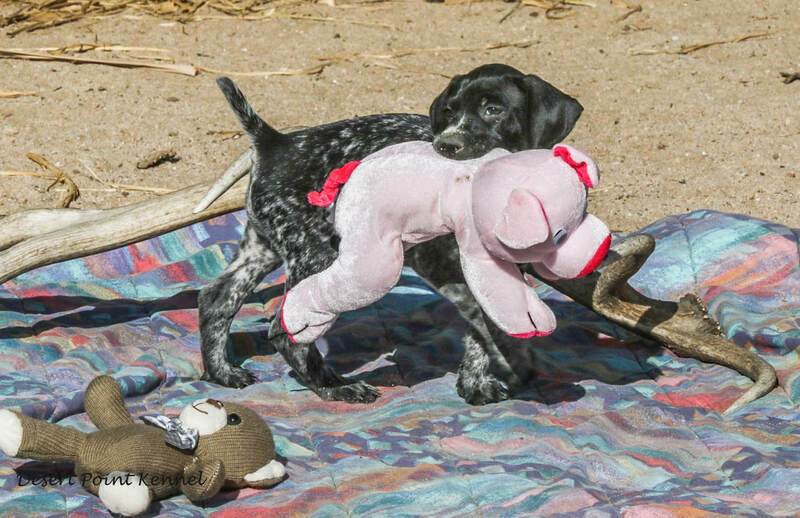 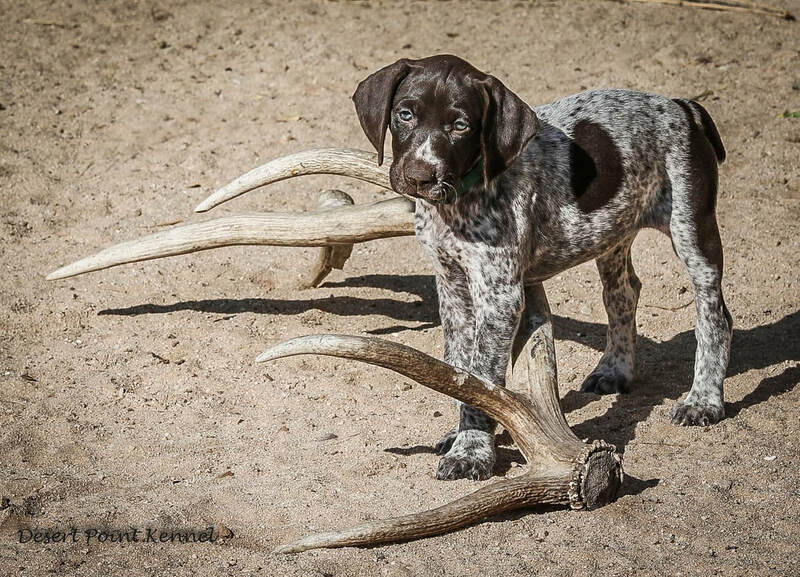 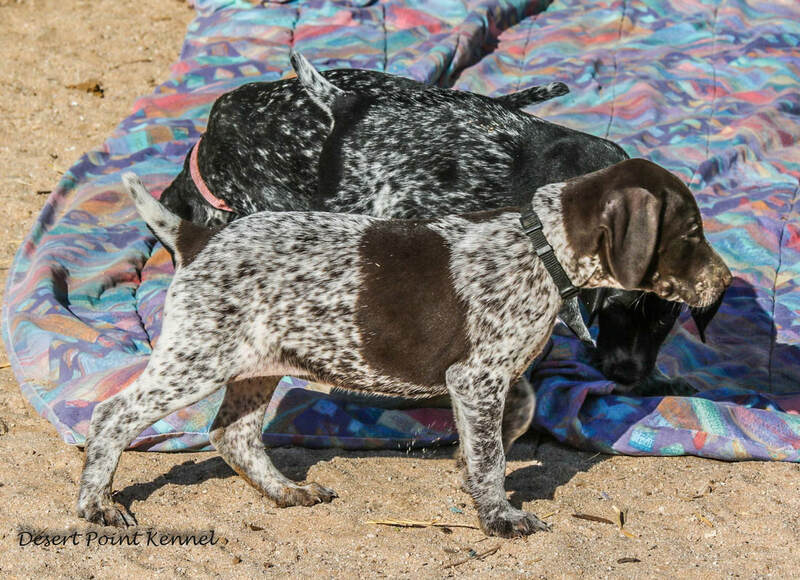 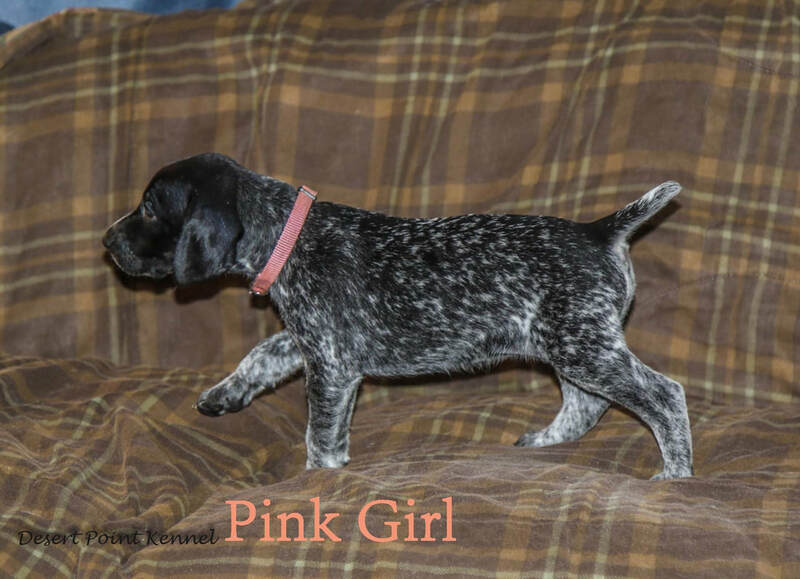 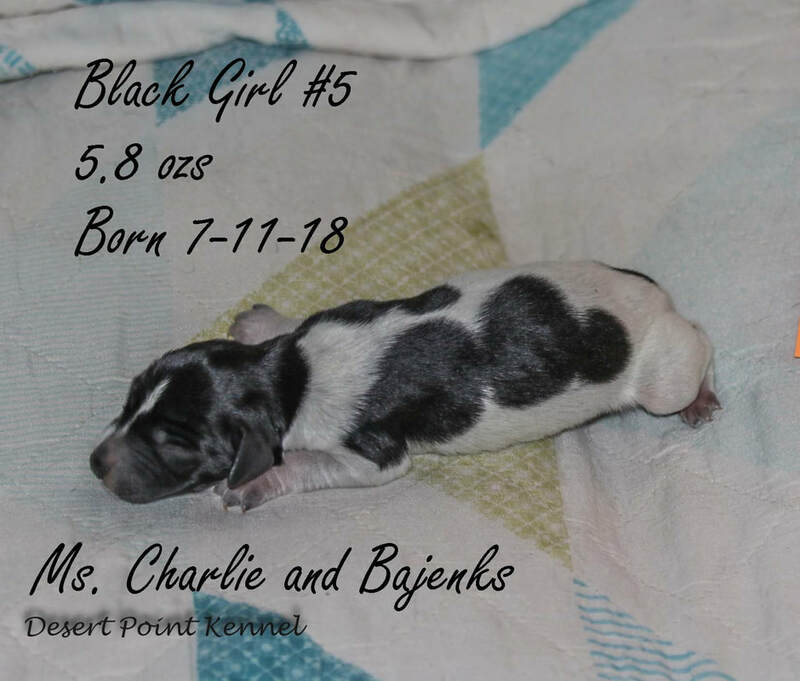 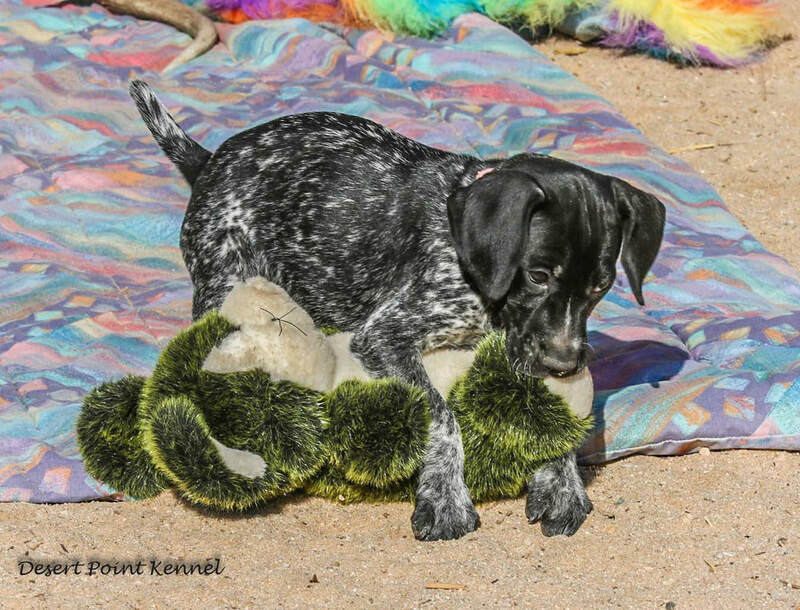 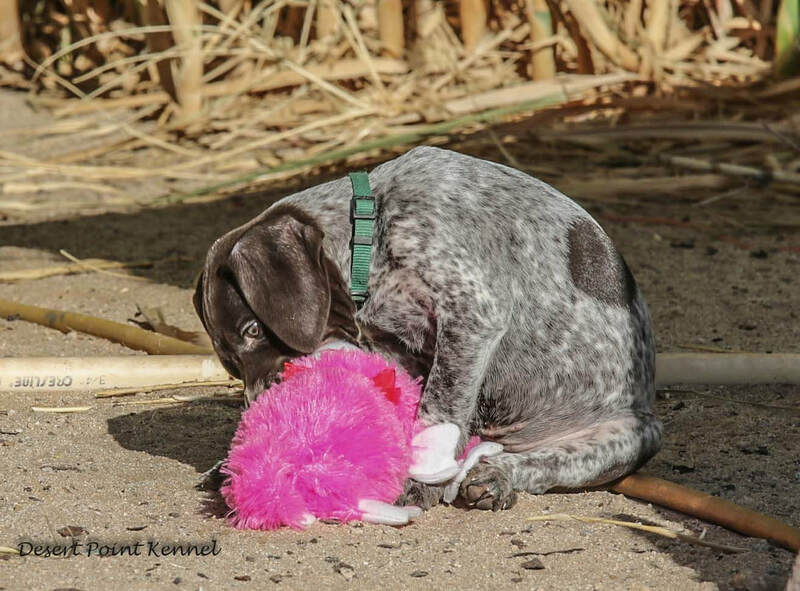 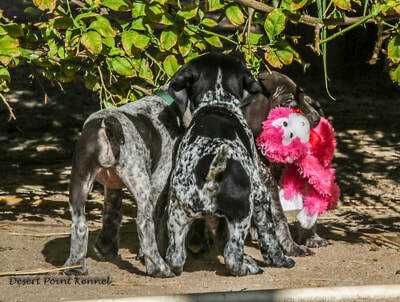 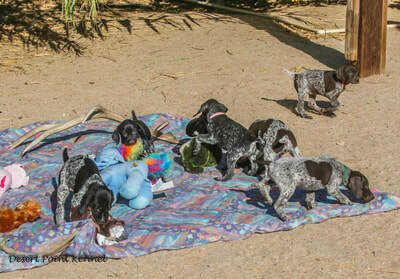 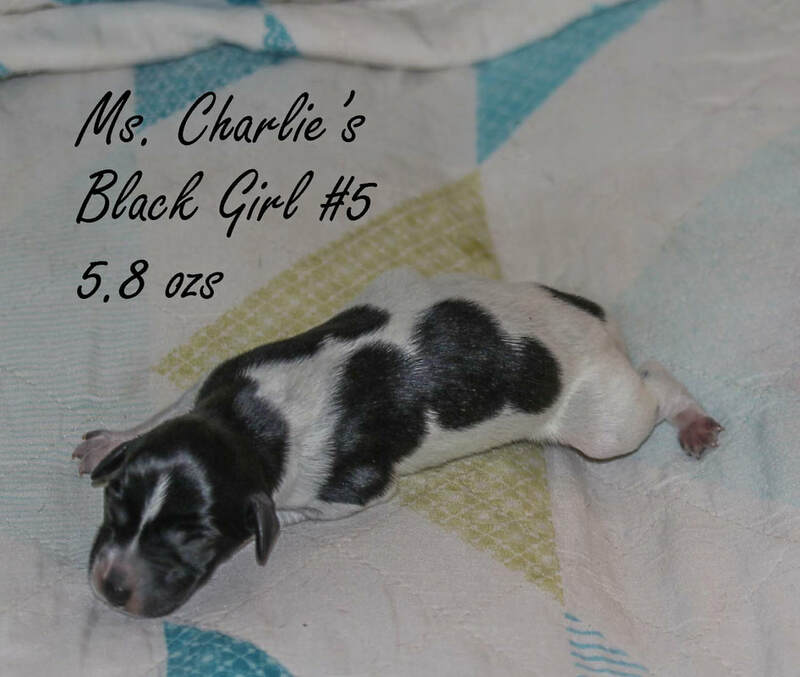 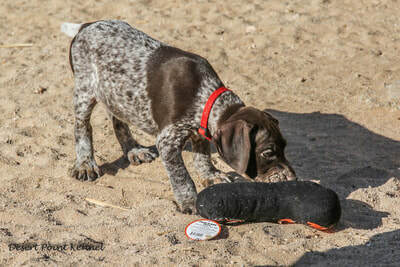 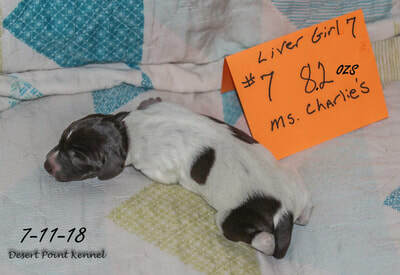 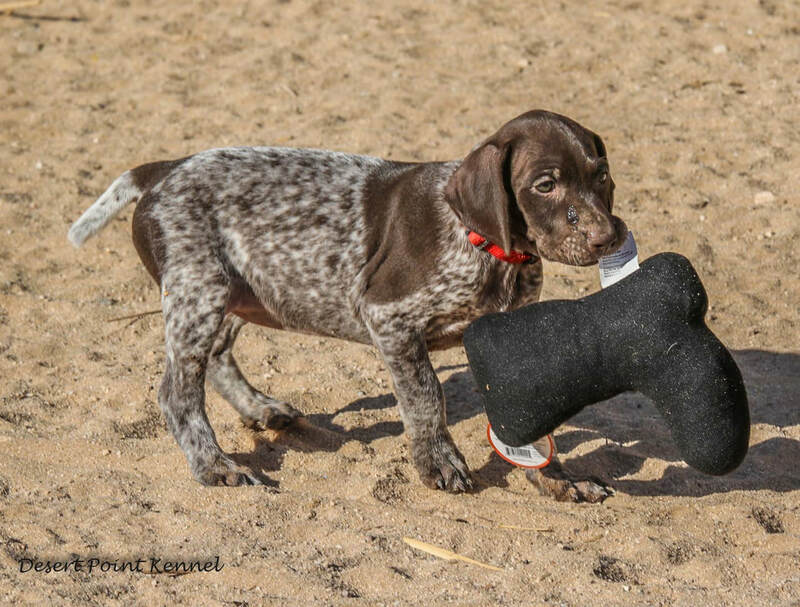 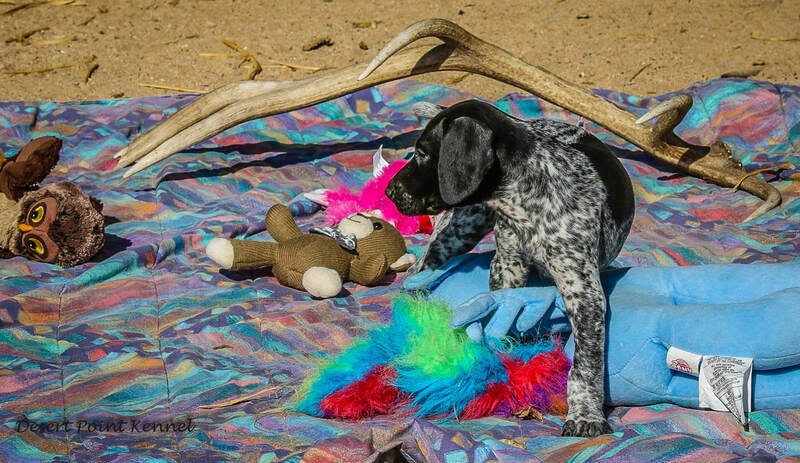 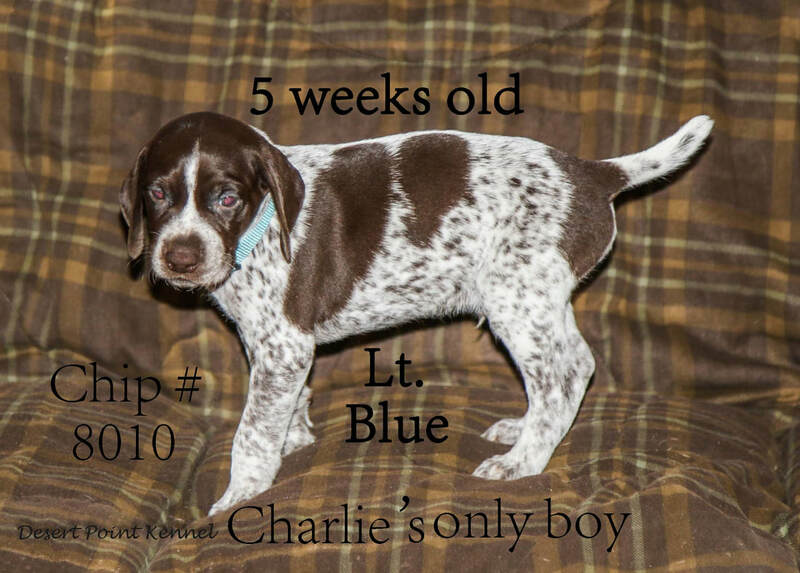 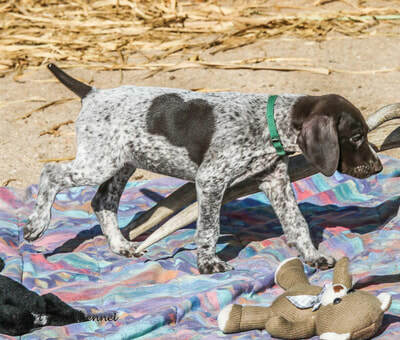 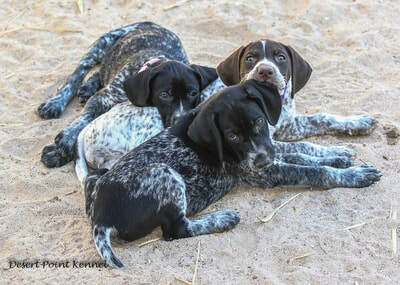 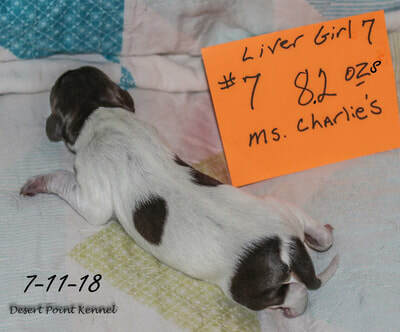 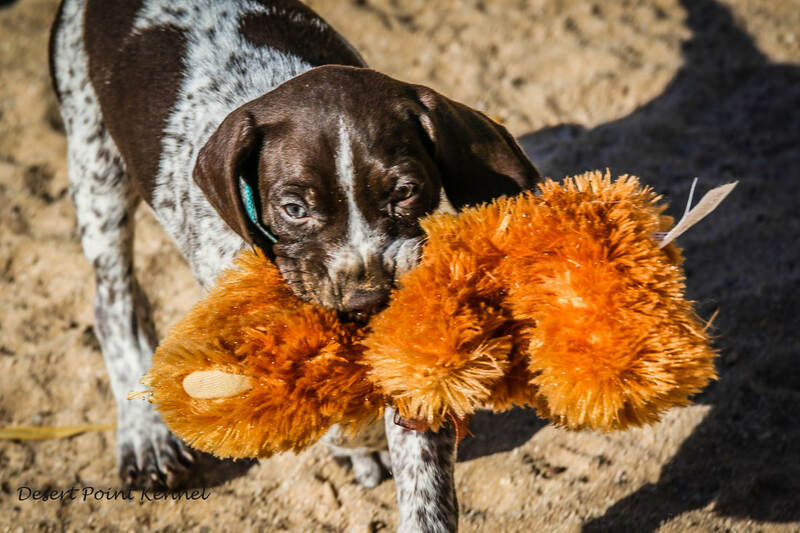 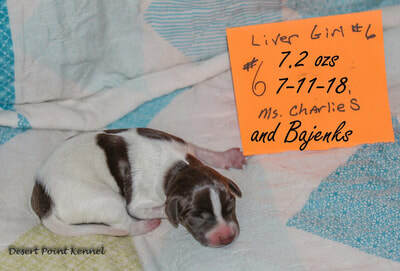 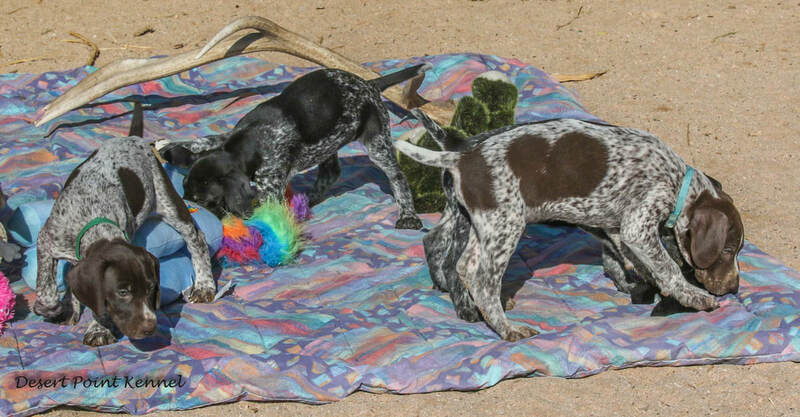 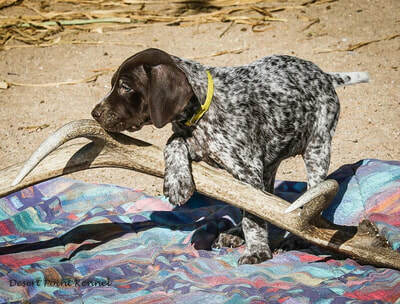 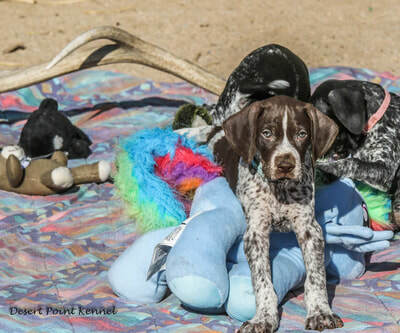 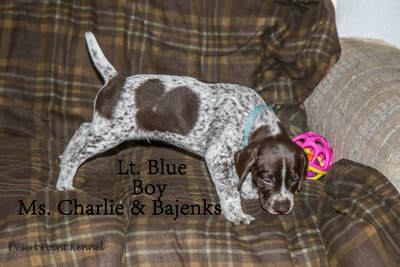 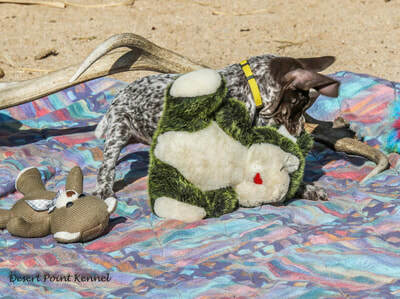 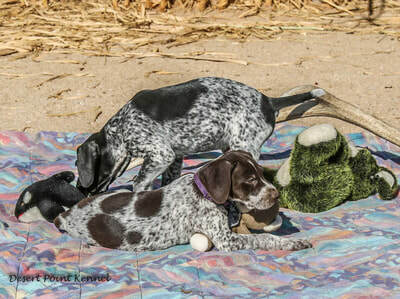 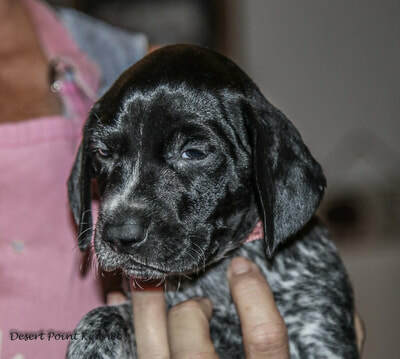 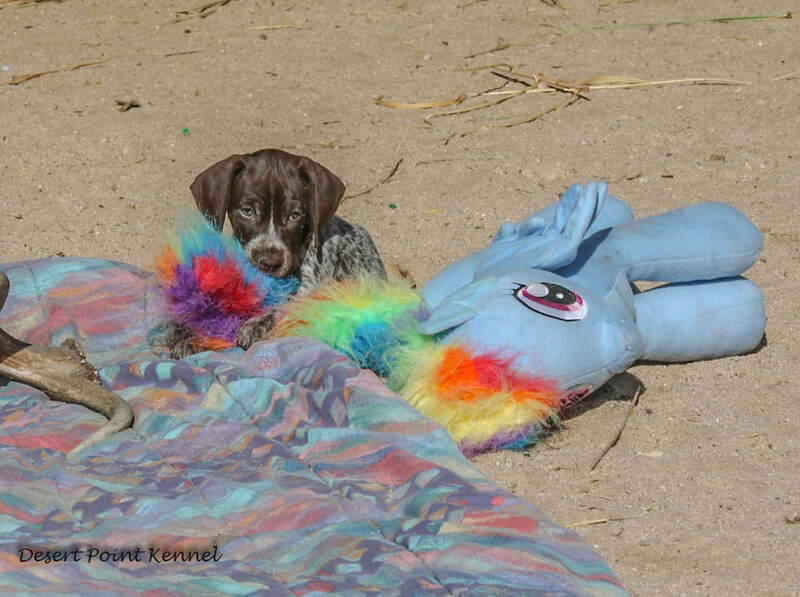 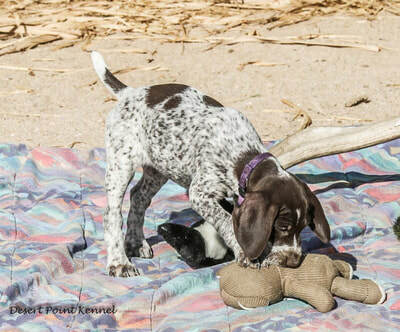 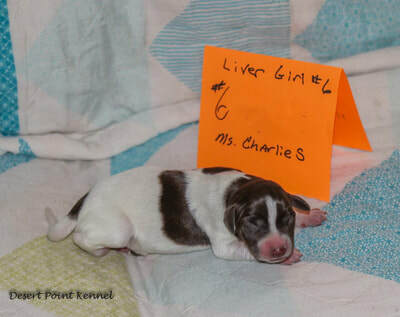 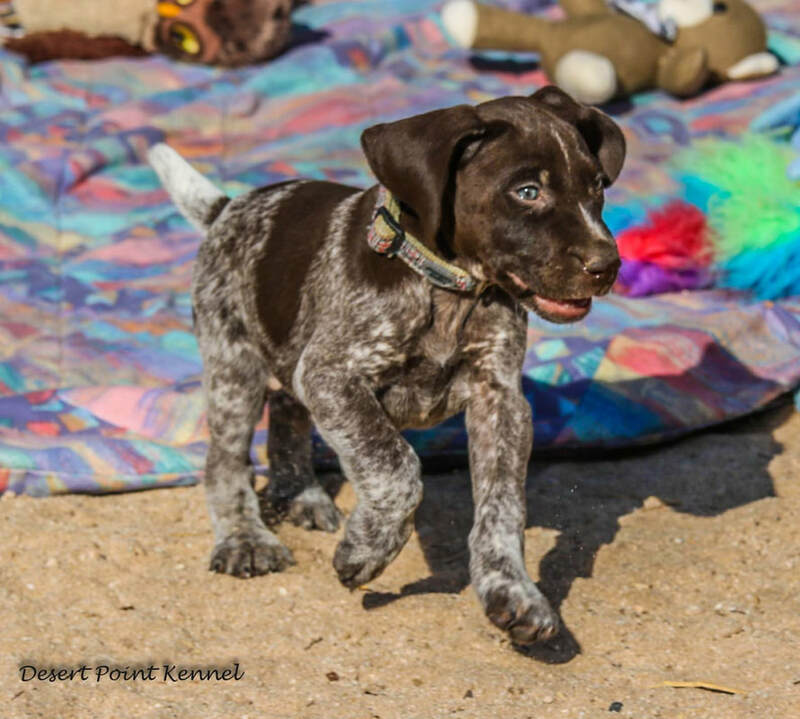 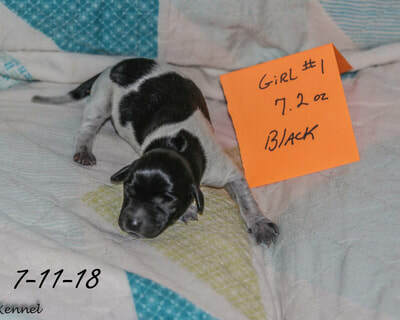 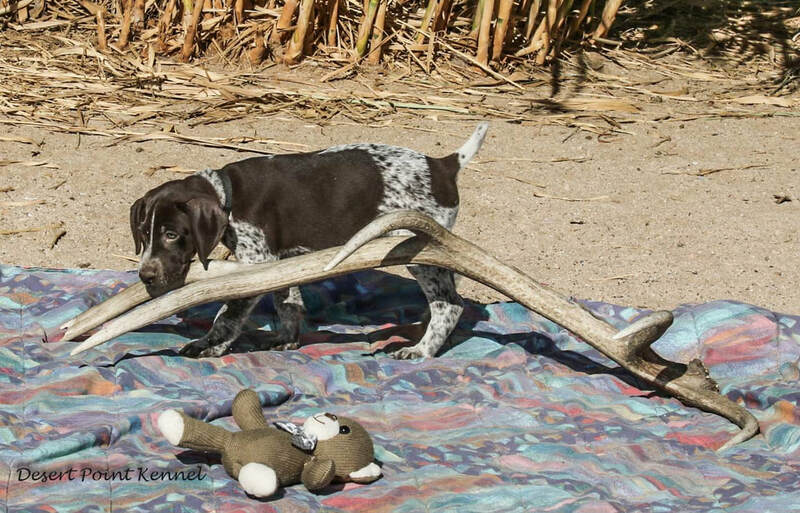 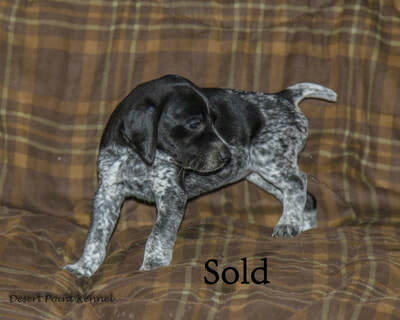 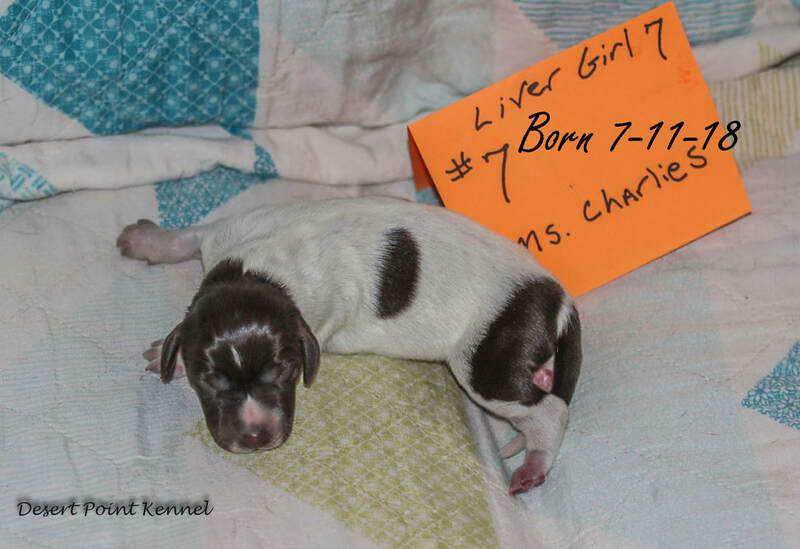 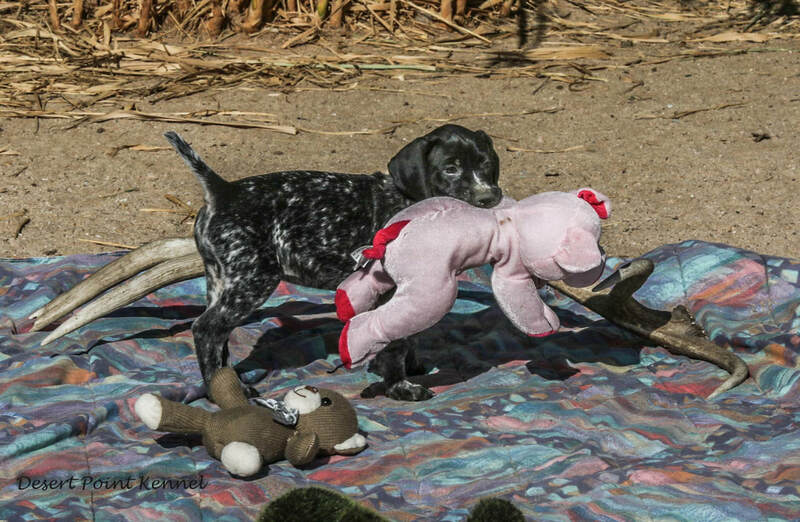 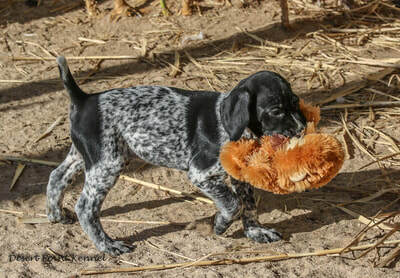 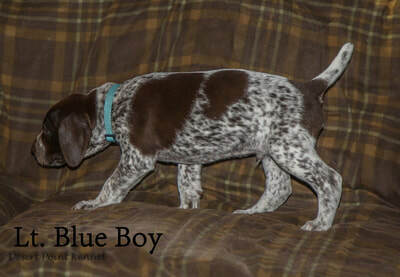 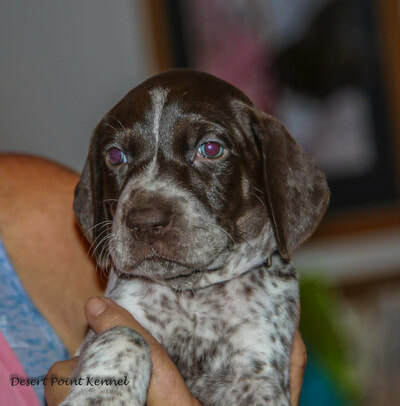 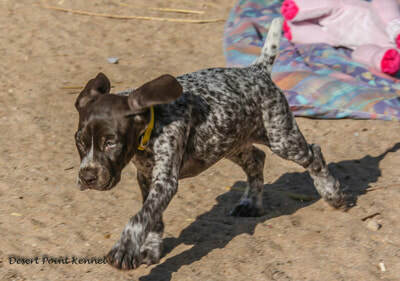 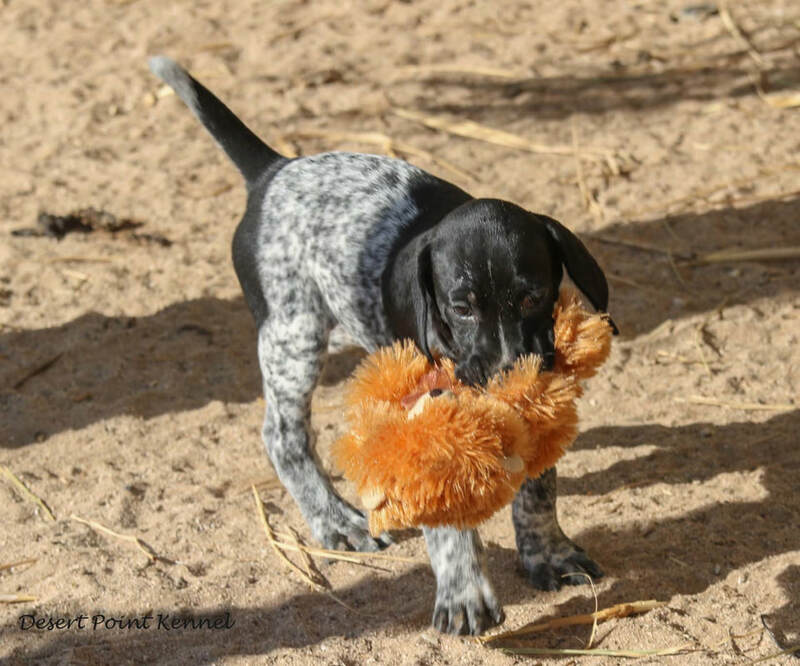 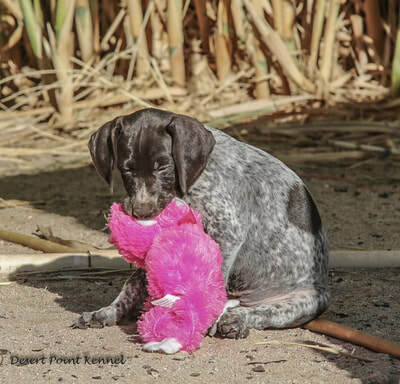 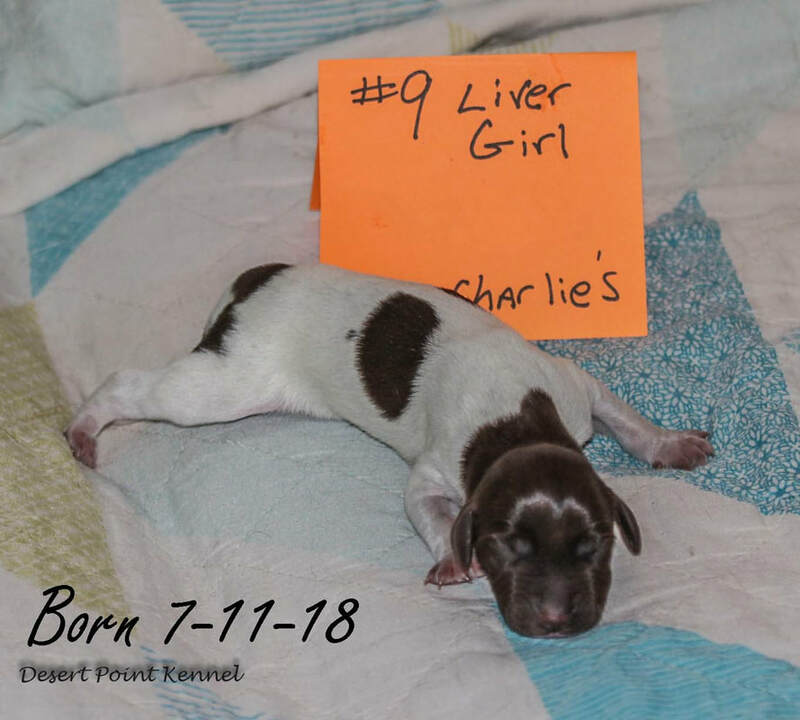 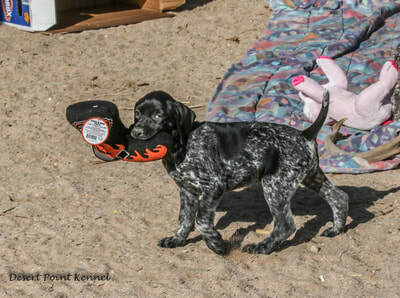 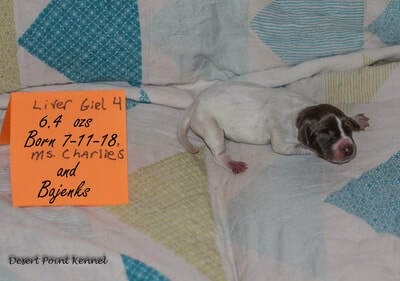 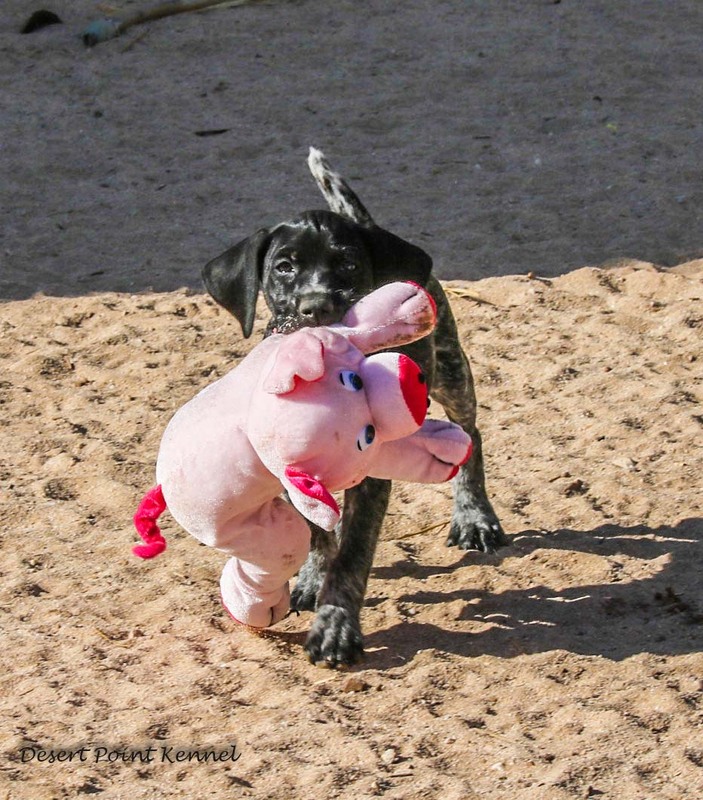 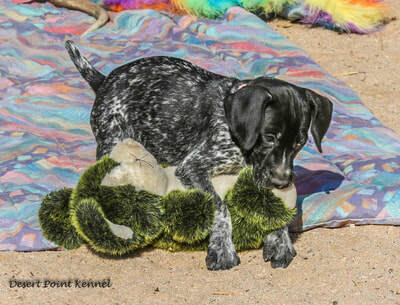 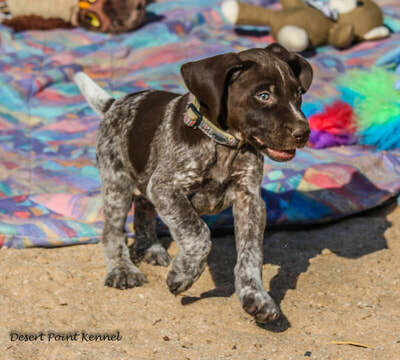 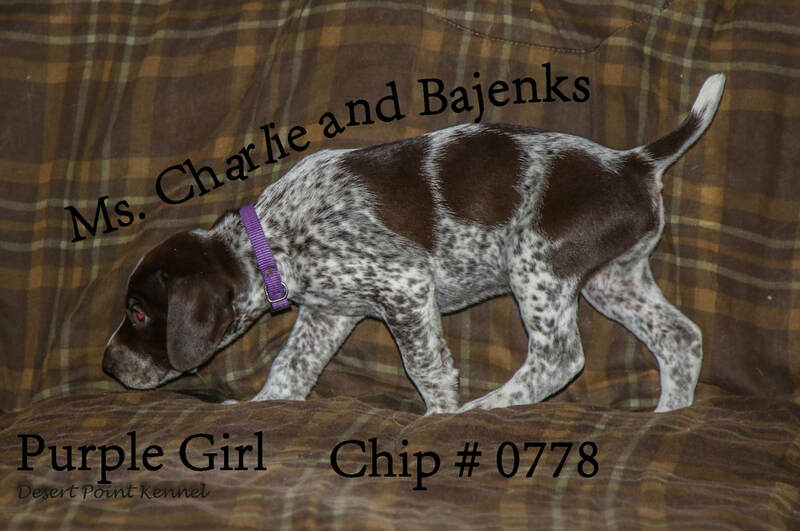 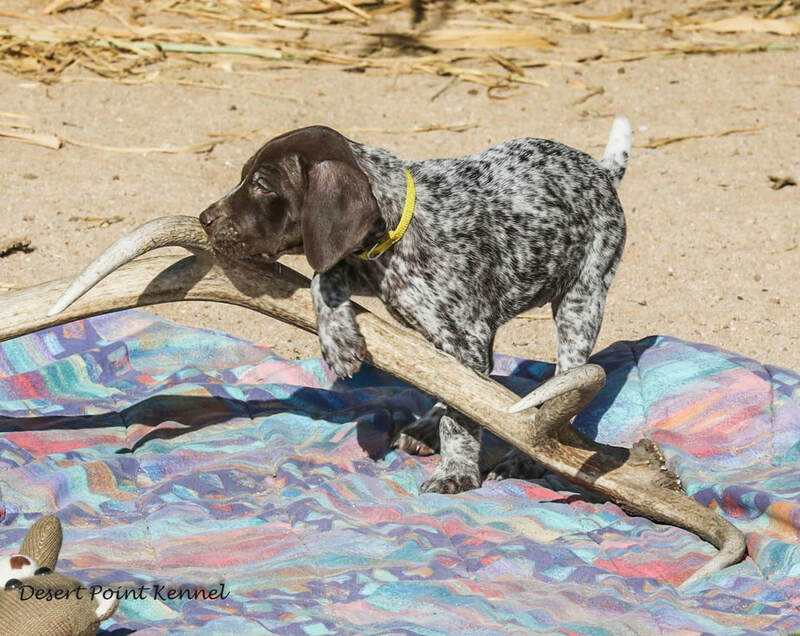 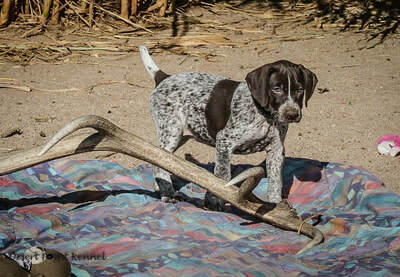 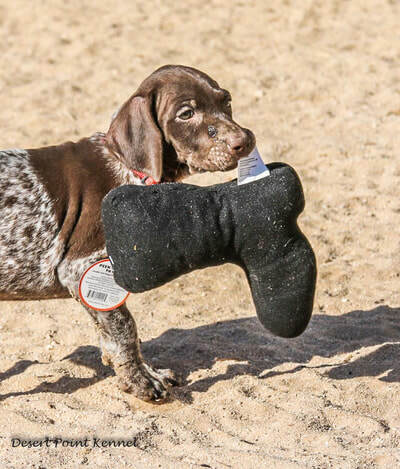 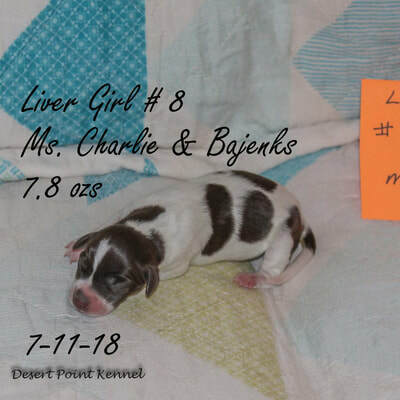 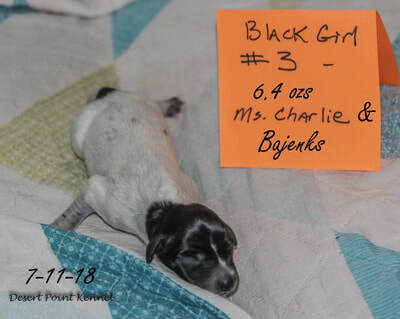 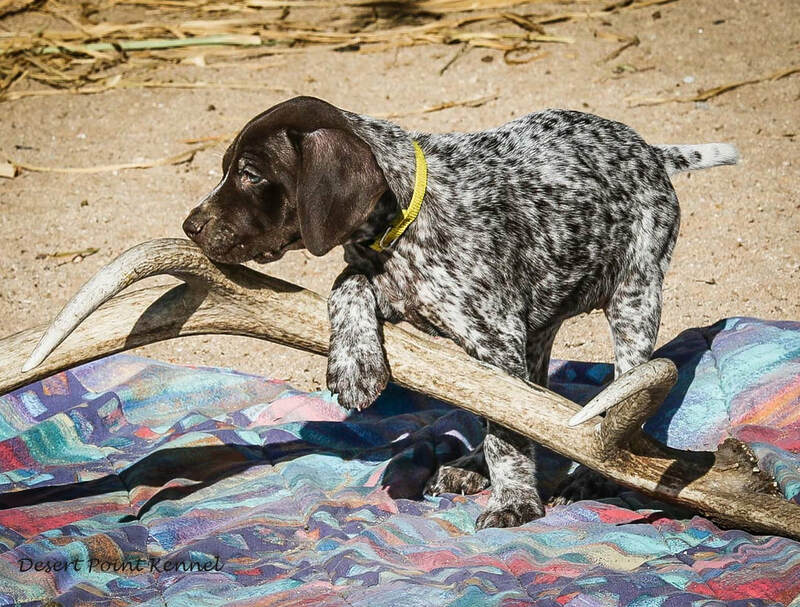 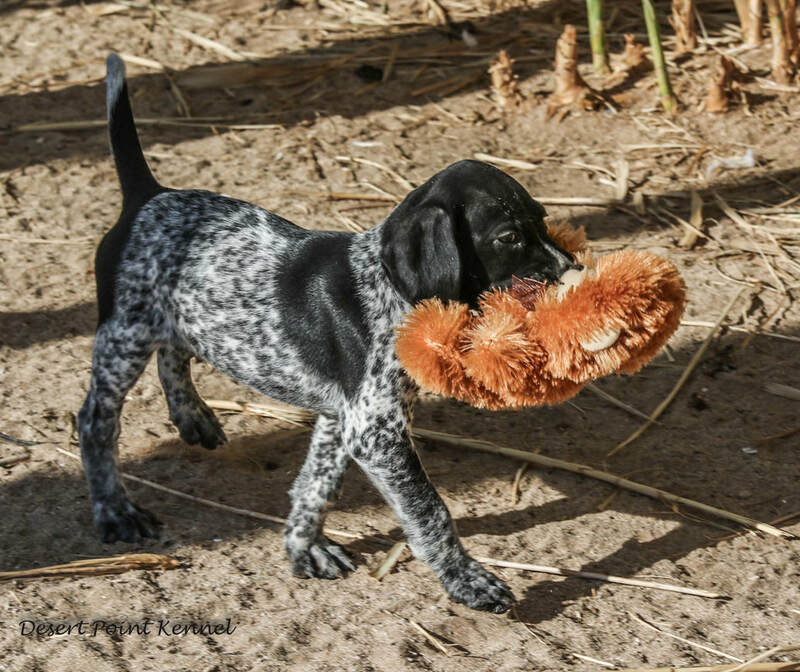 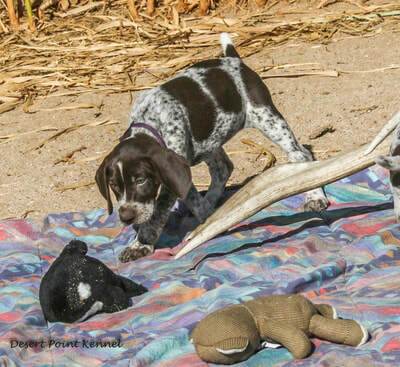 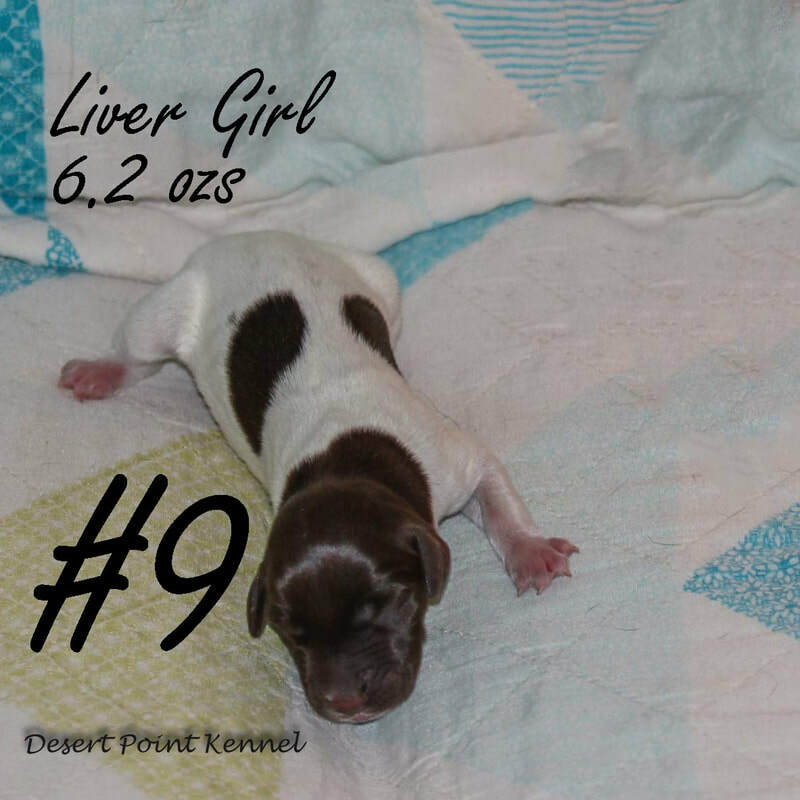 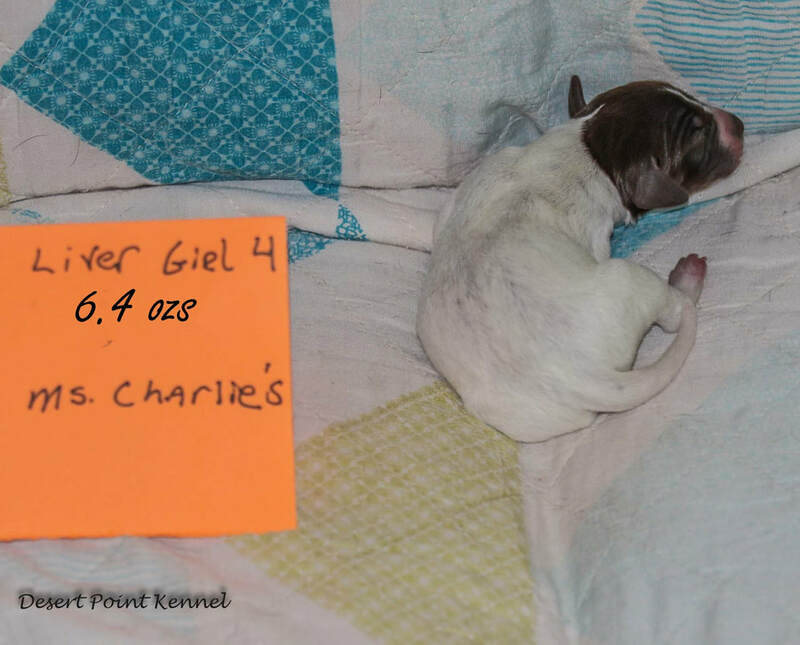 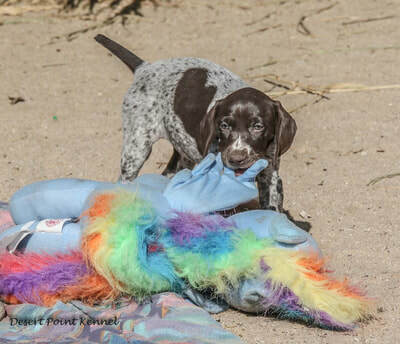 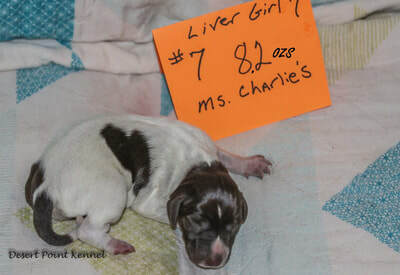 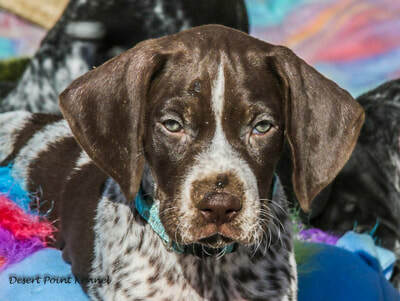 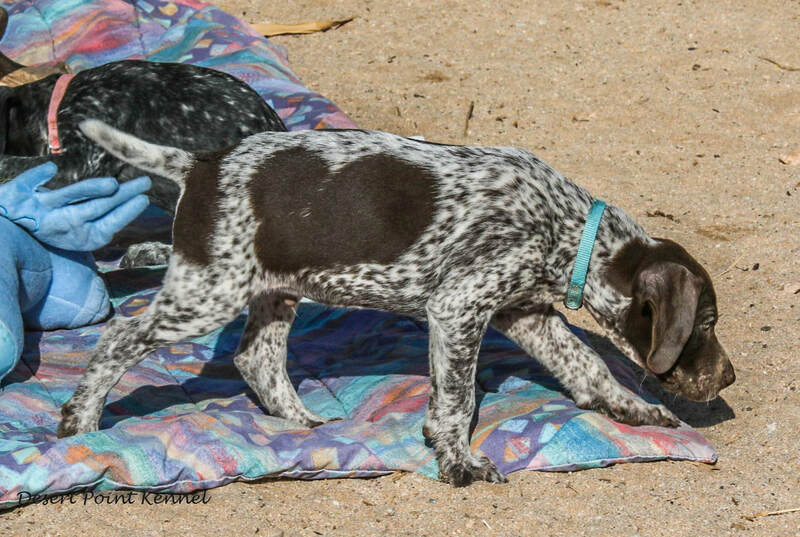 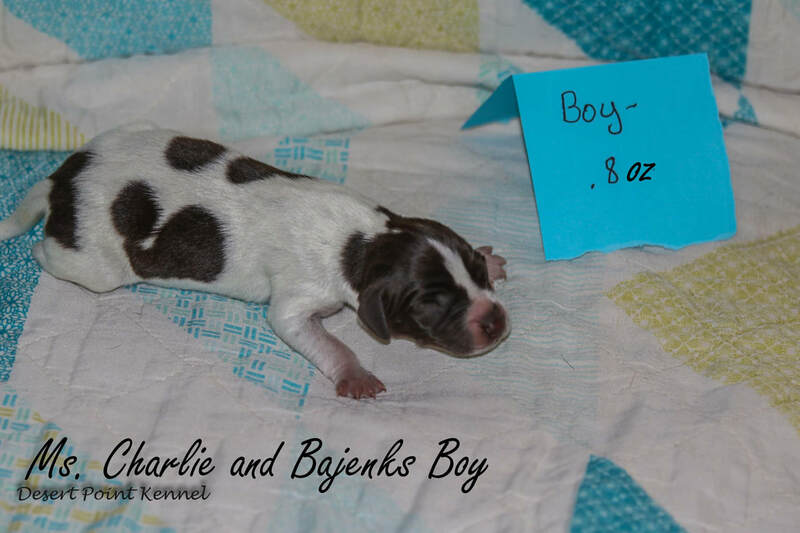 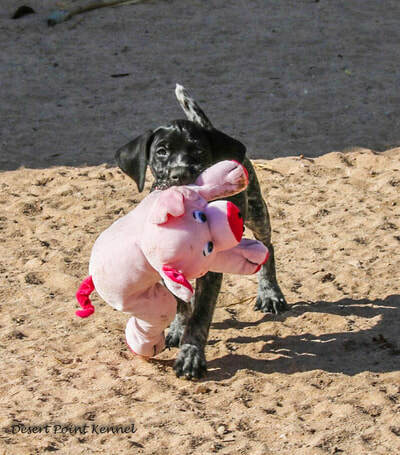 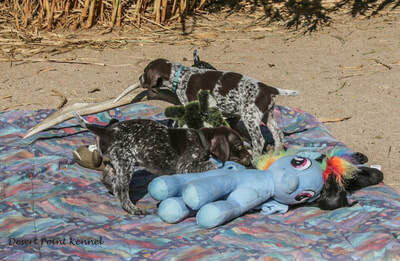 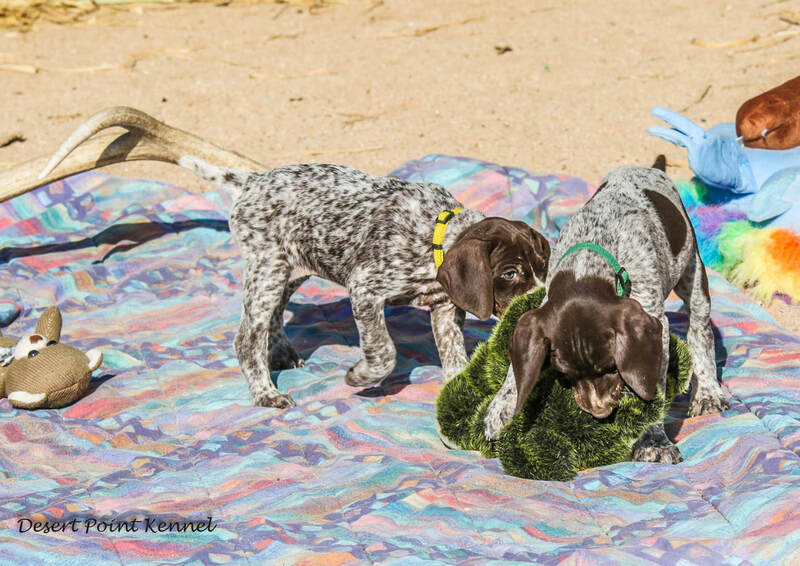 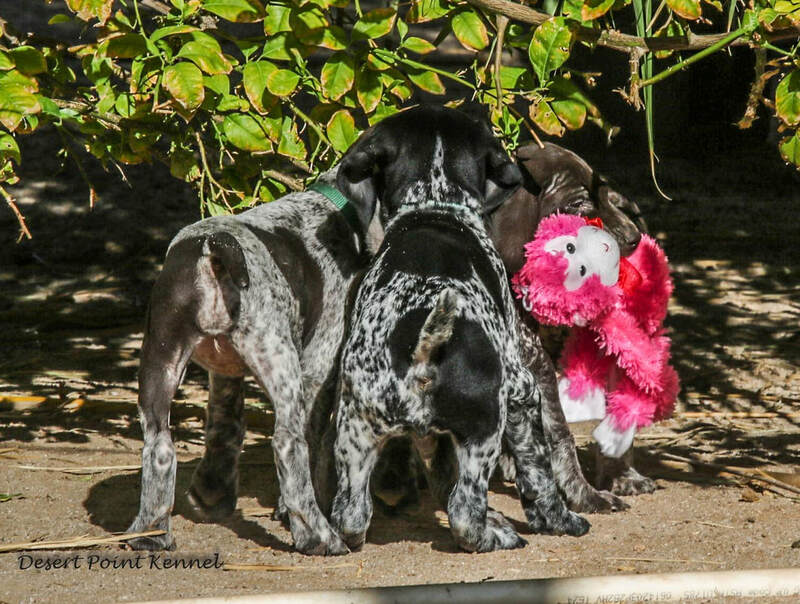 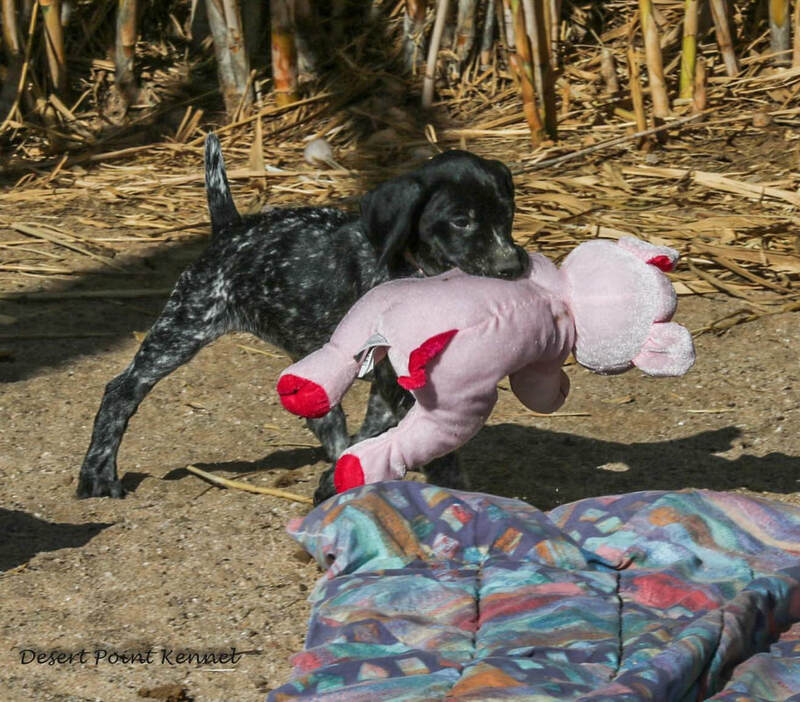 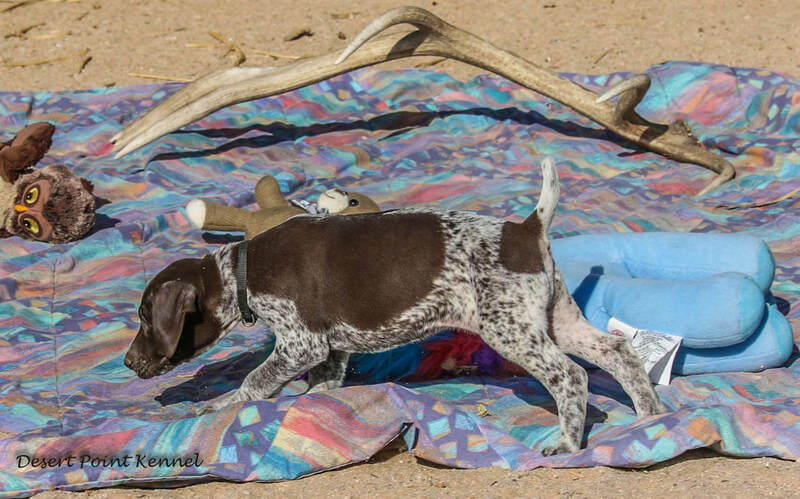 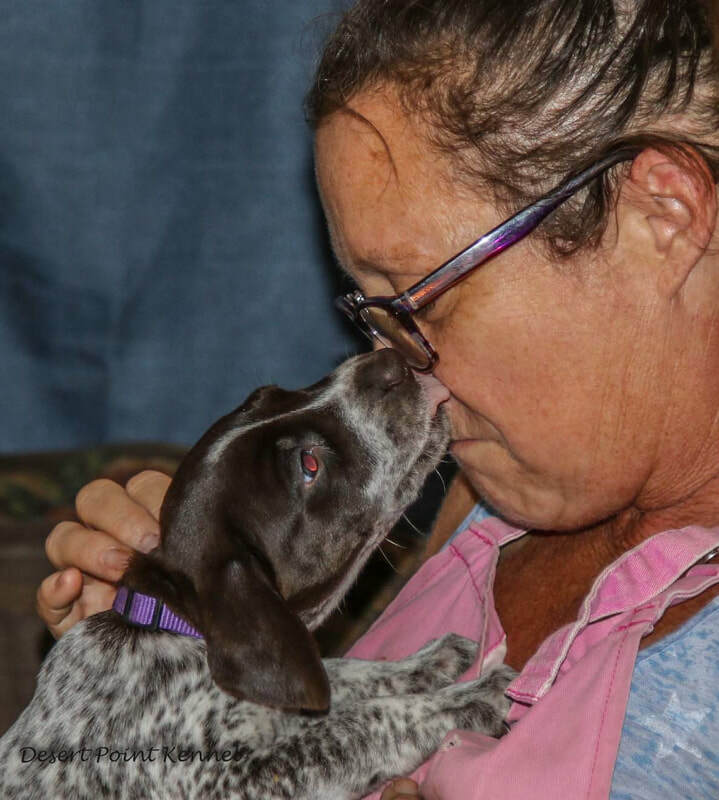 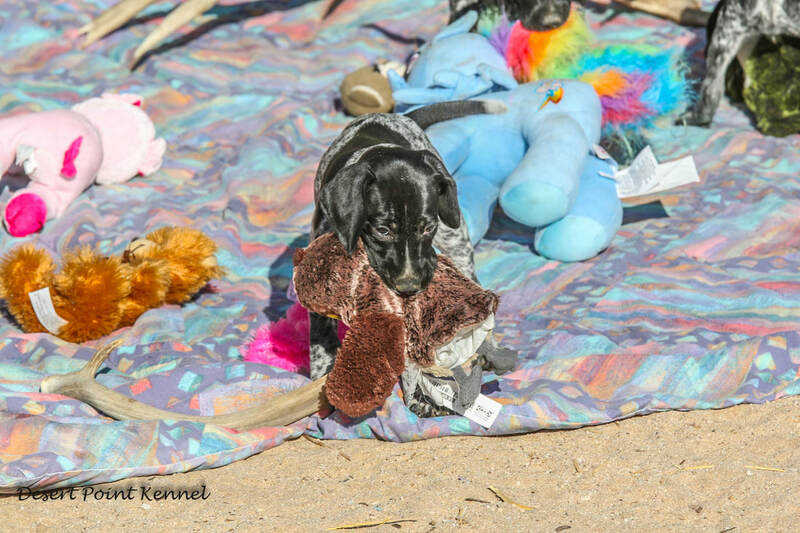 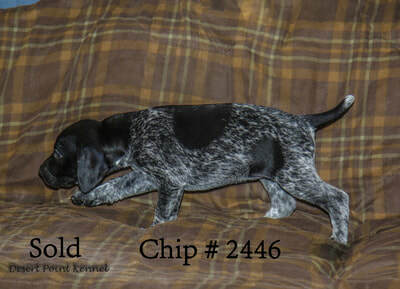 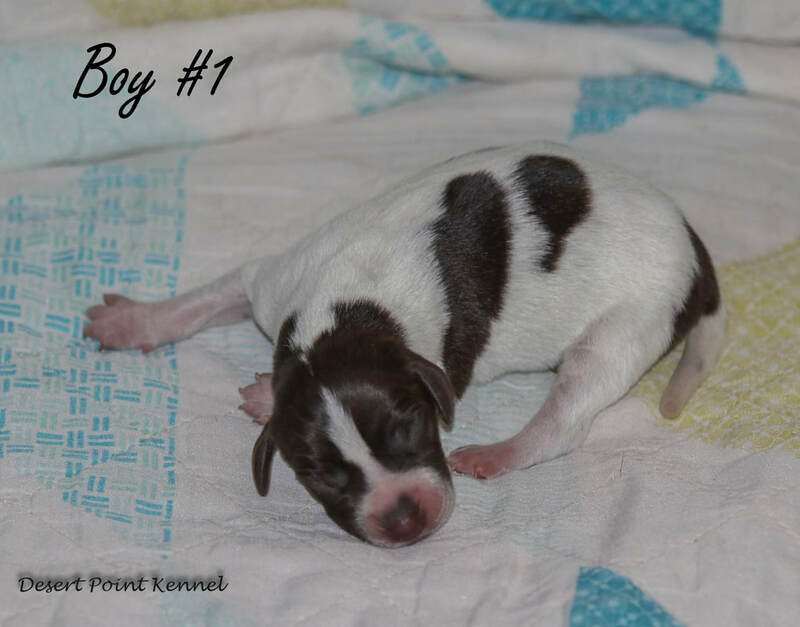 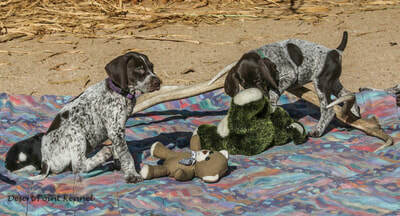 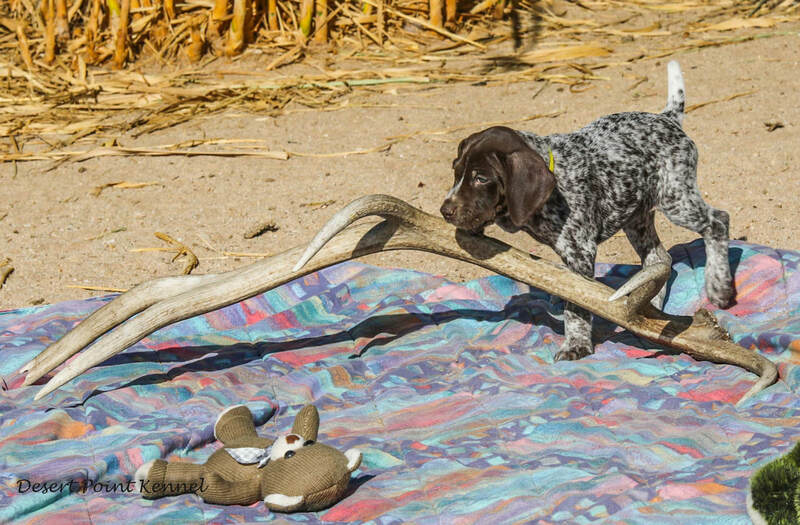 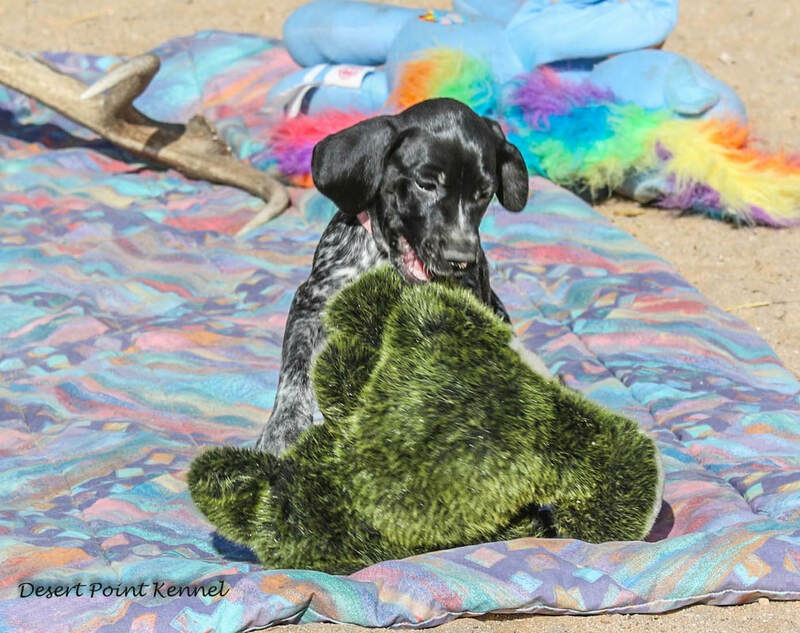 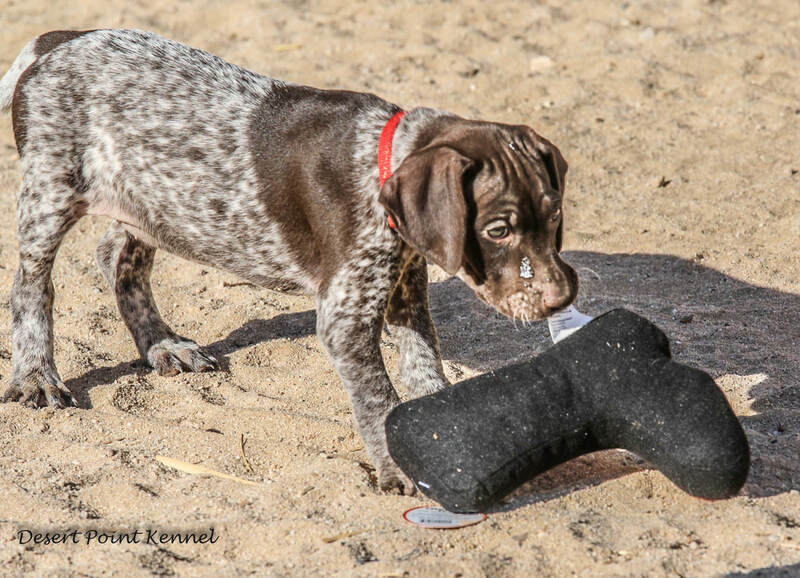 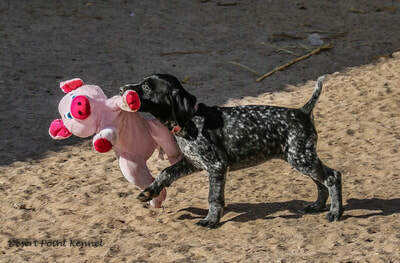 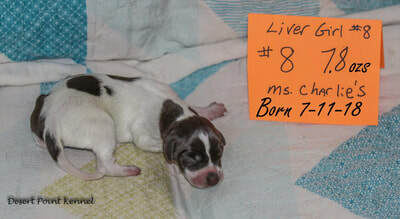 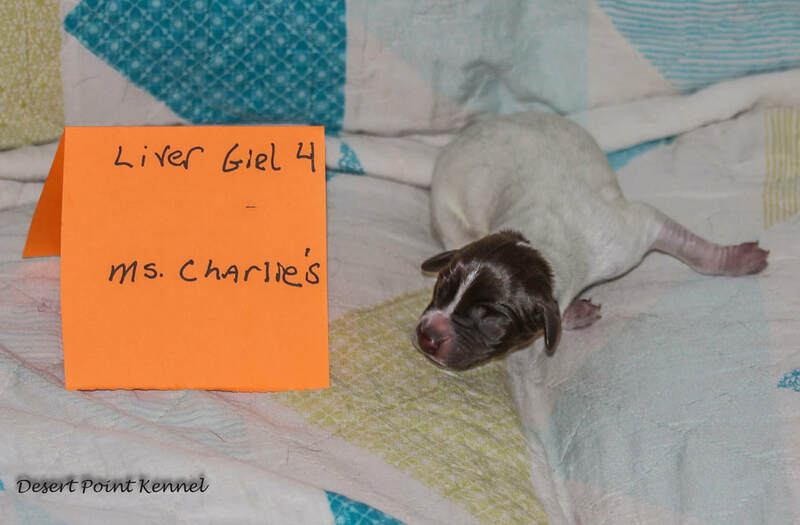 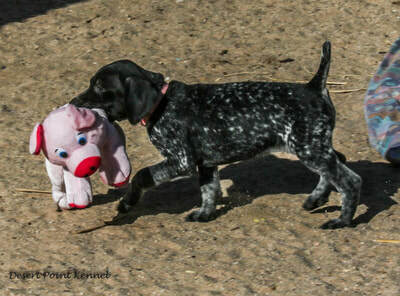 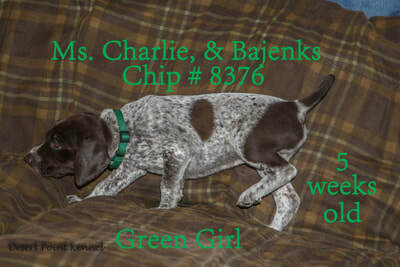 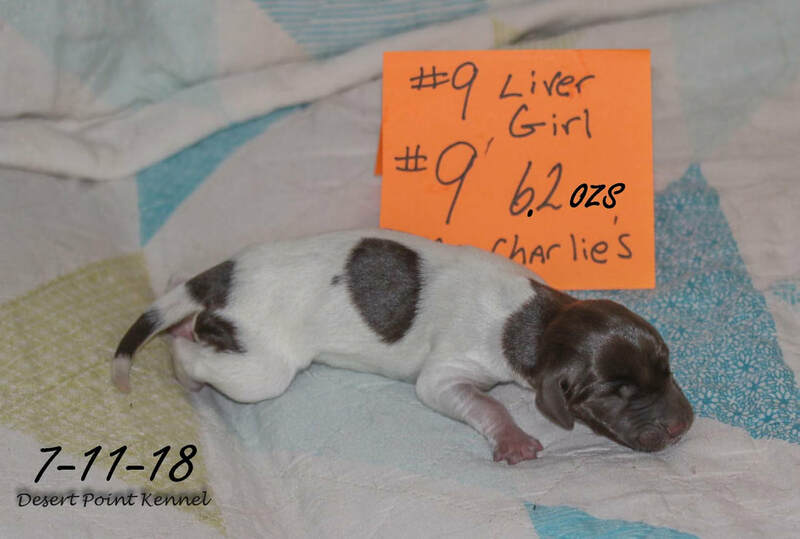 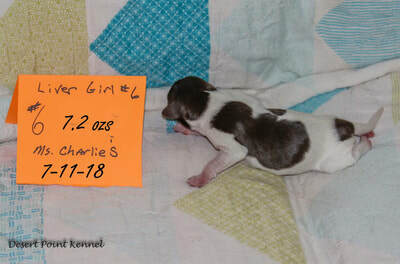 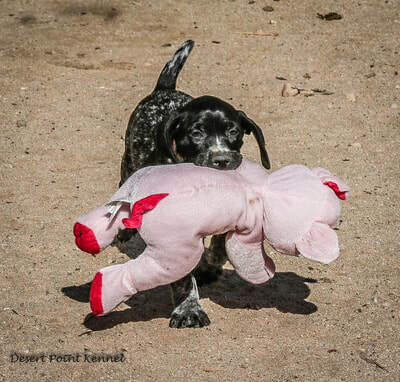 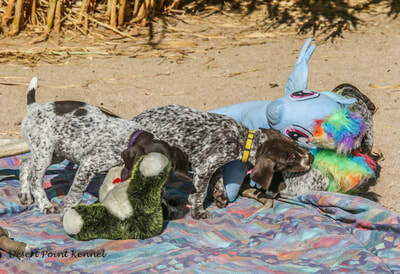 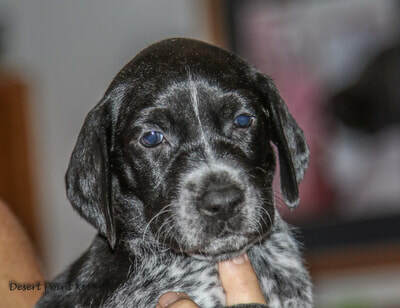 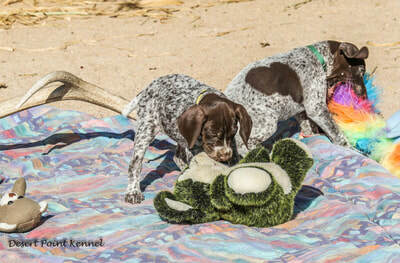 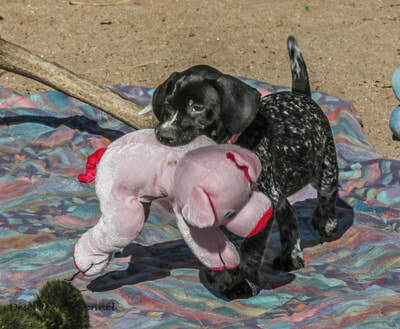 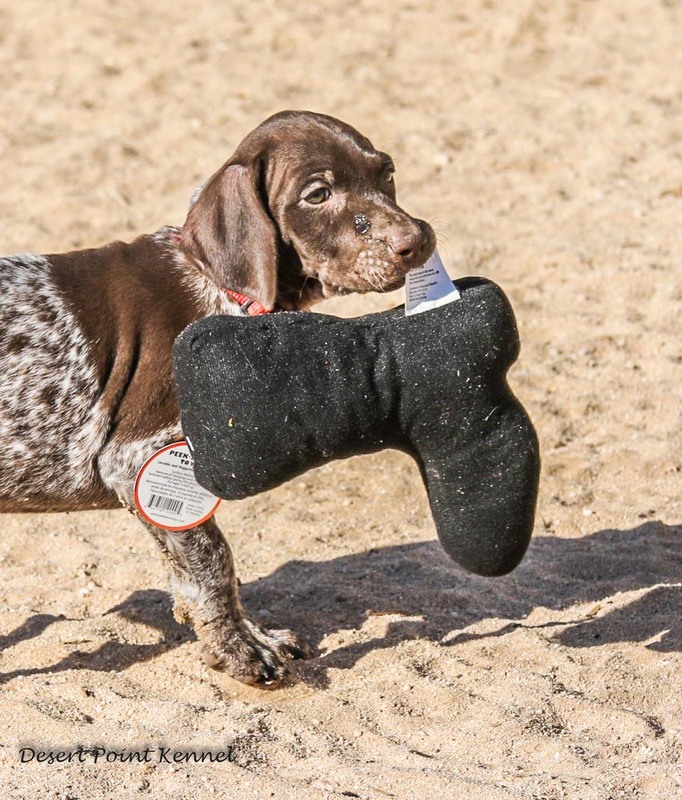 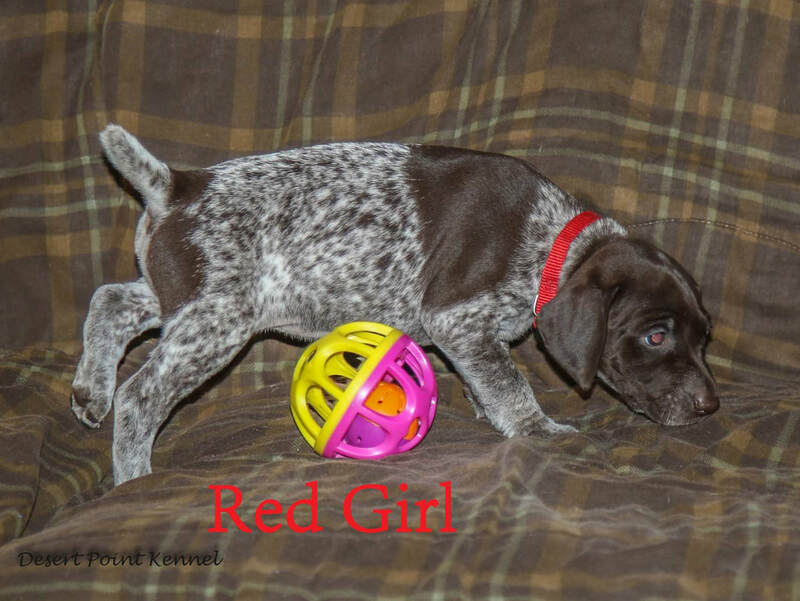 This is a repeat litter, the last litter proved to be outstanding versatile hunting and family dogs with a great love of water, and a strong point. 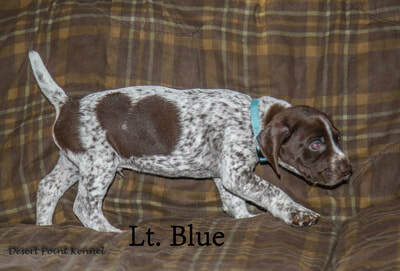 This is what I would conciser our main line. 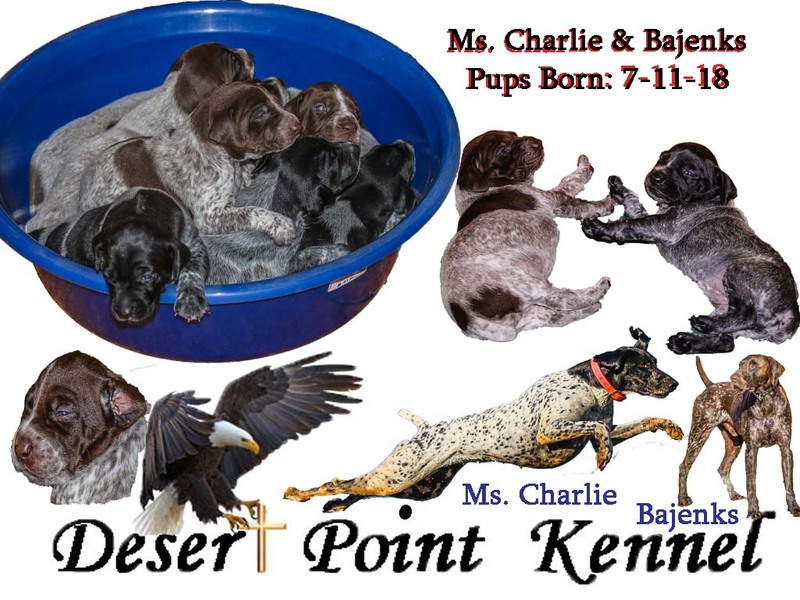 The coefficient of inbreeding of 10.66%. 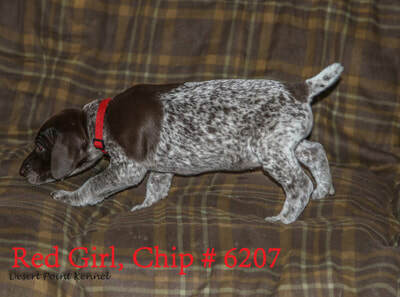 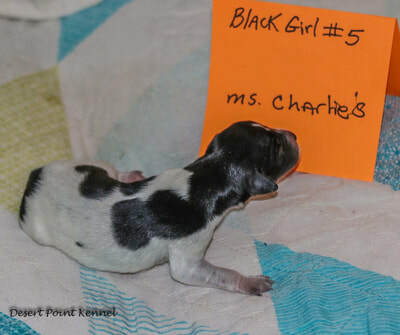 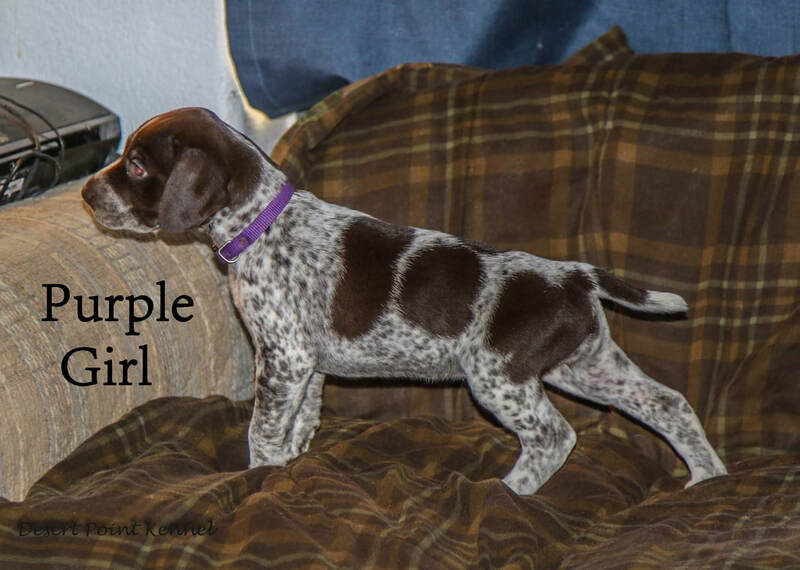 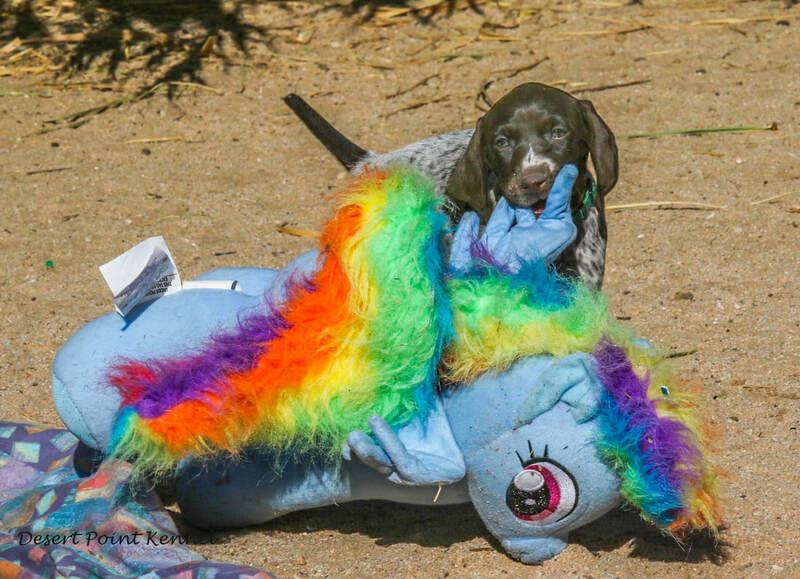 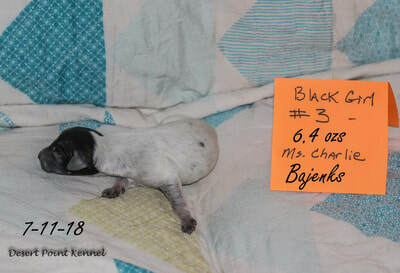 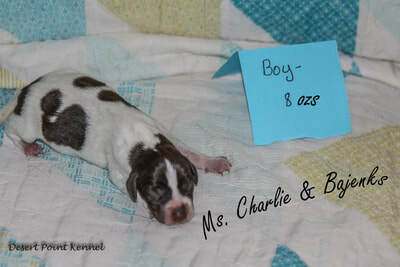 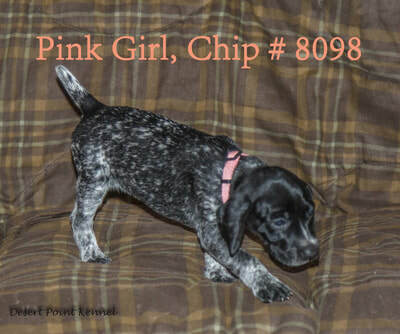 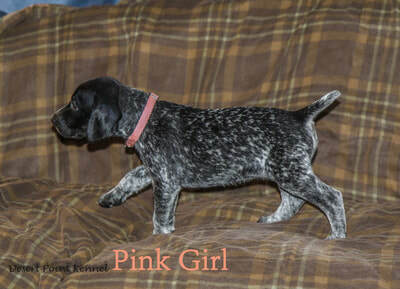 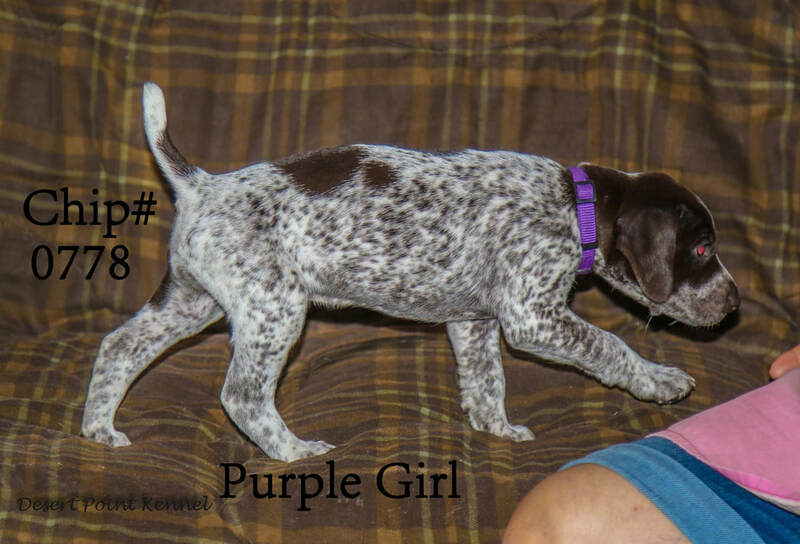 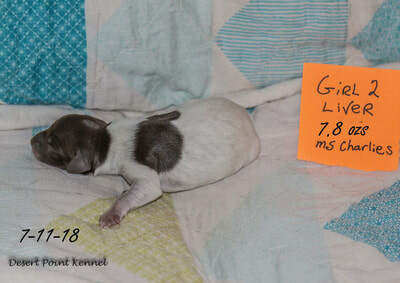 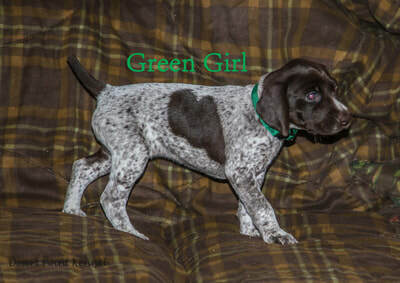 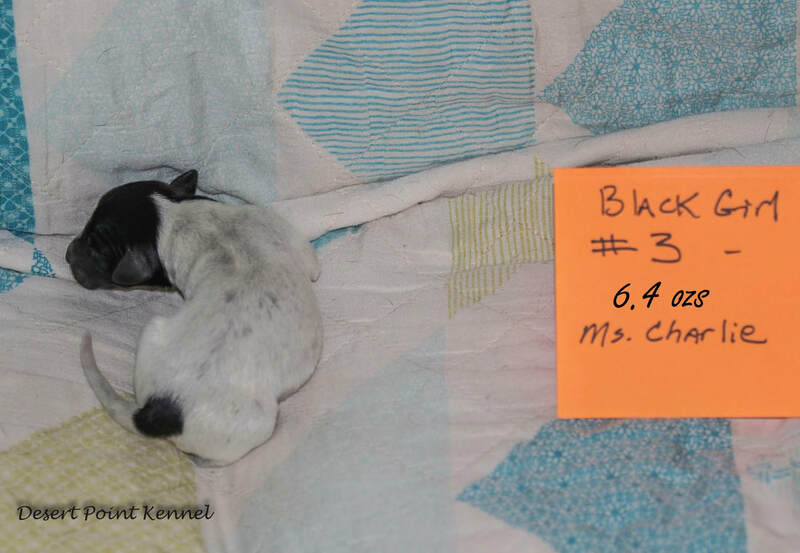 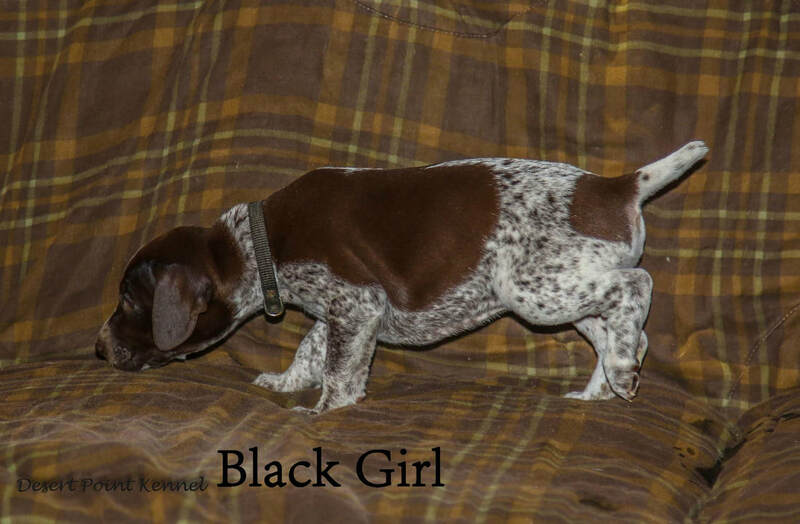 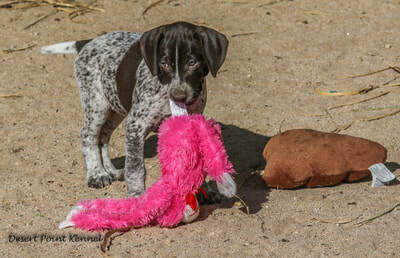 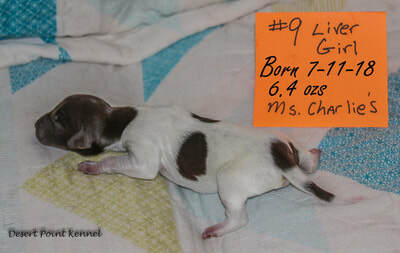 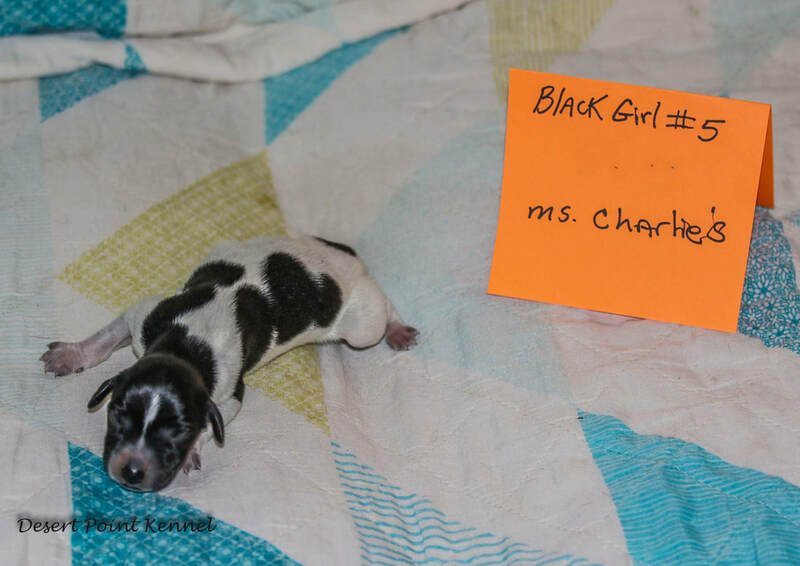 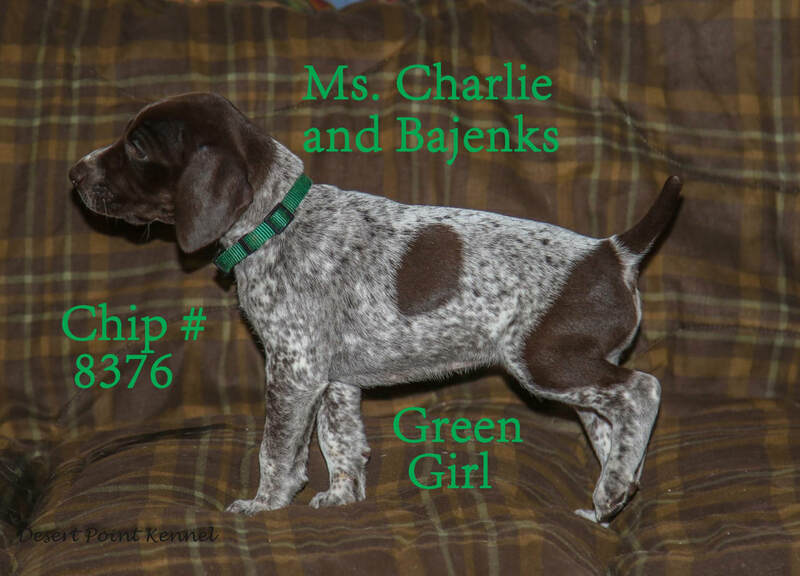 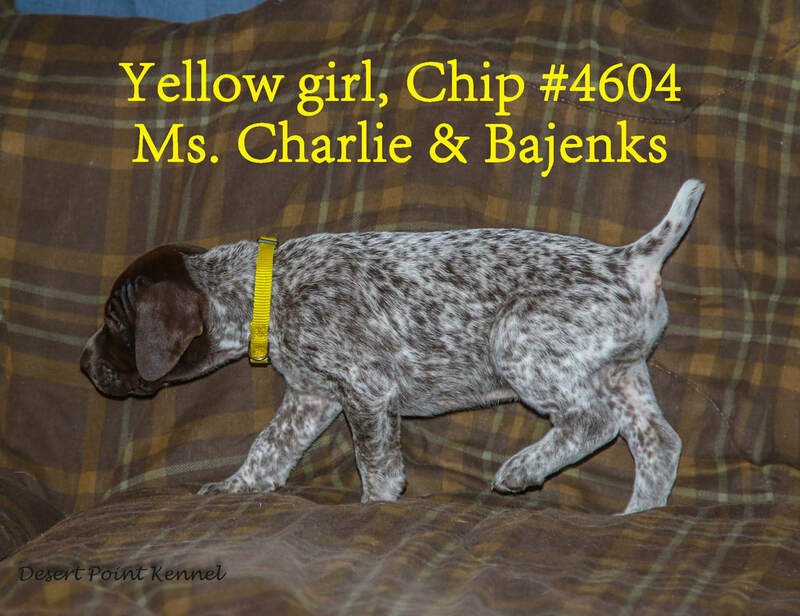 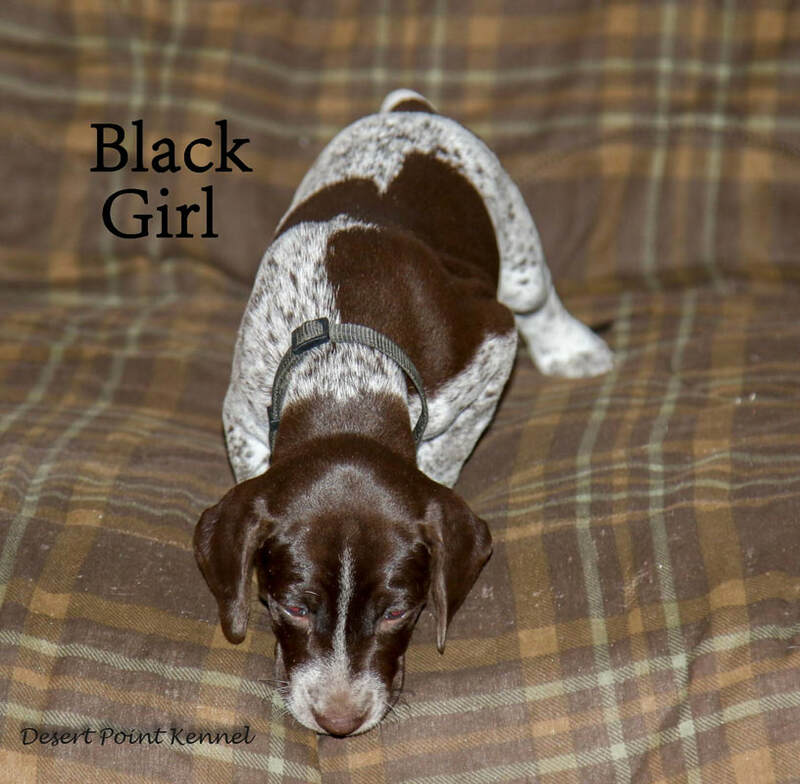 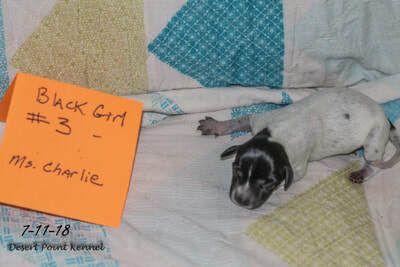 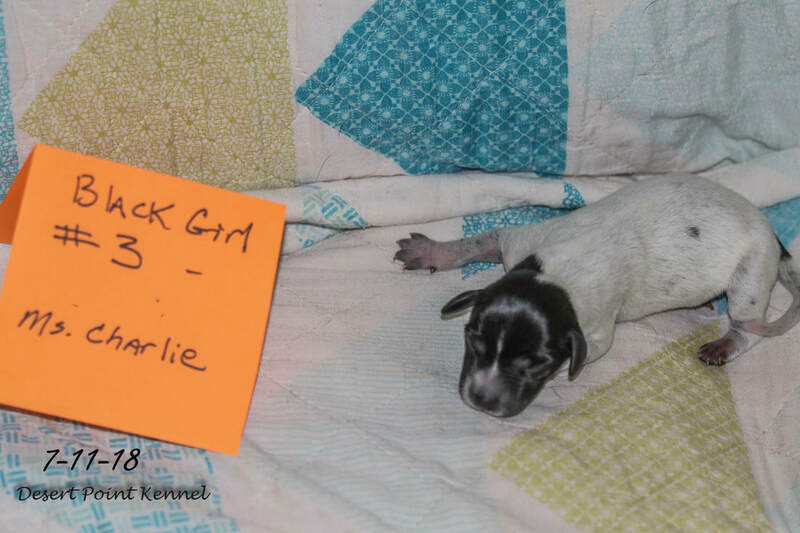 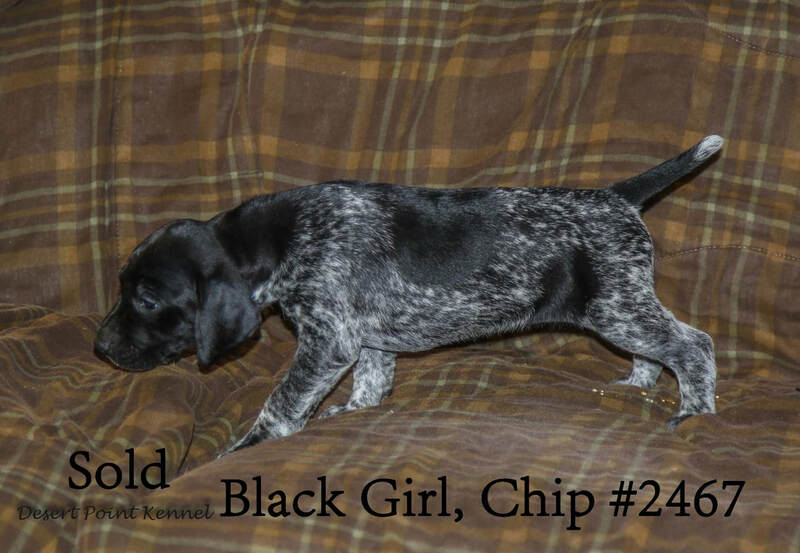 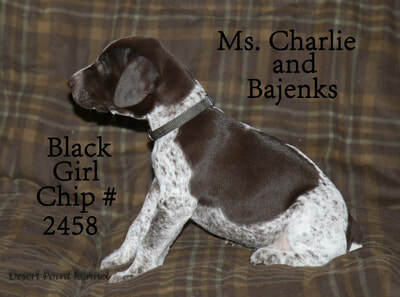 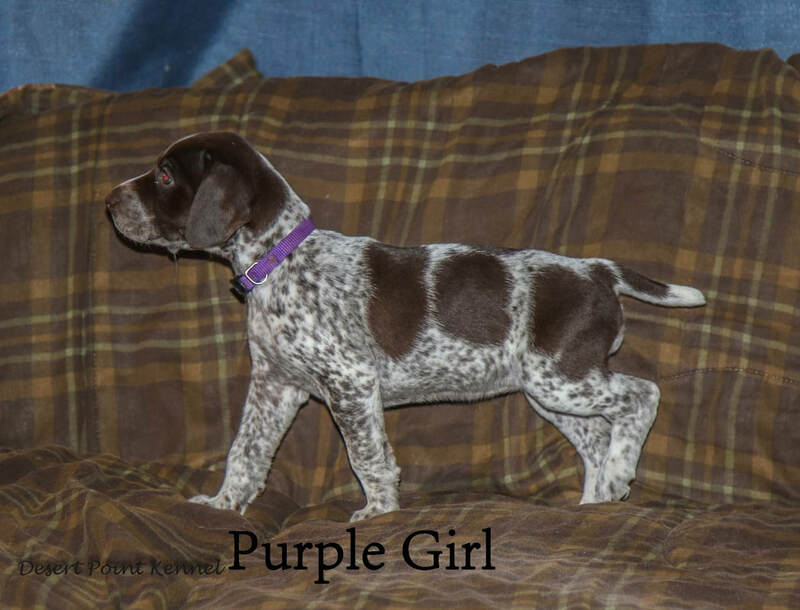 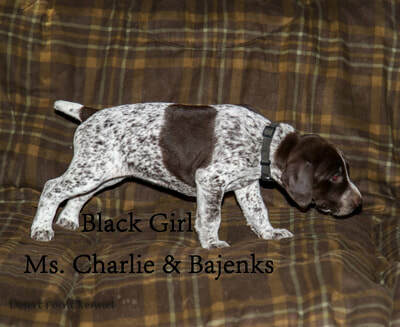 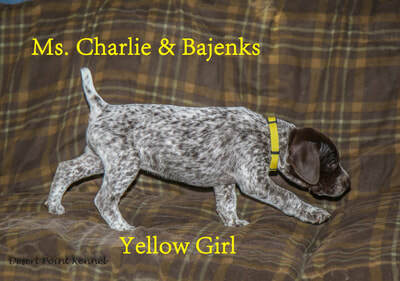 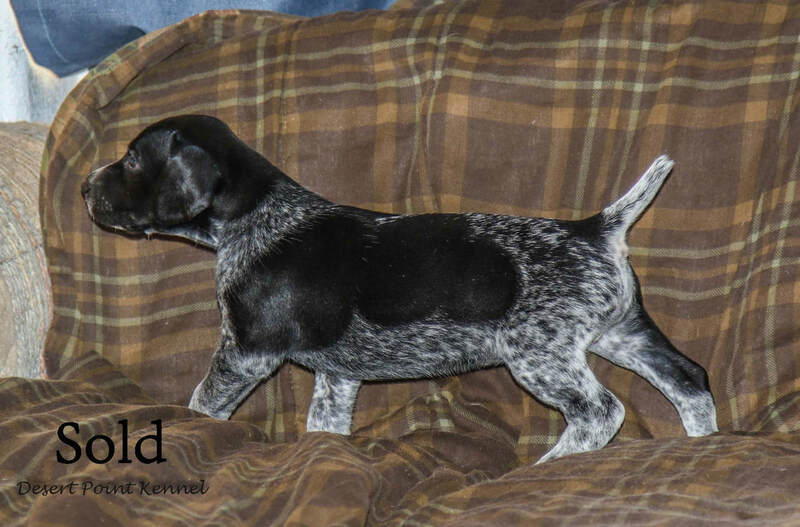 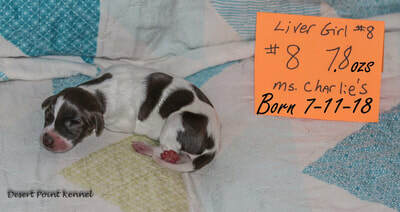 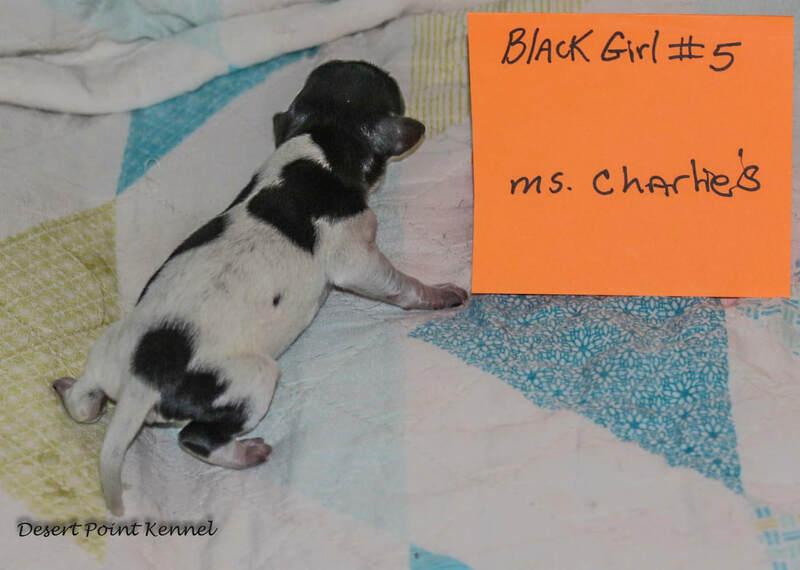 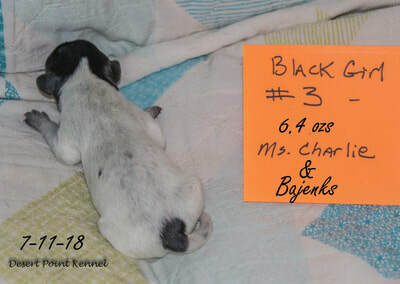 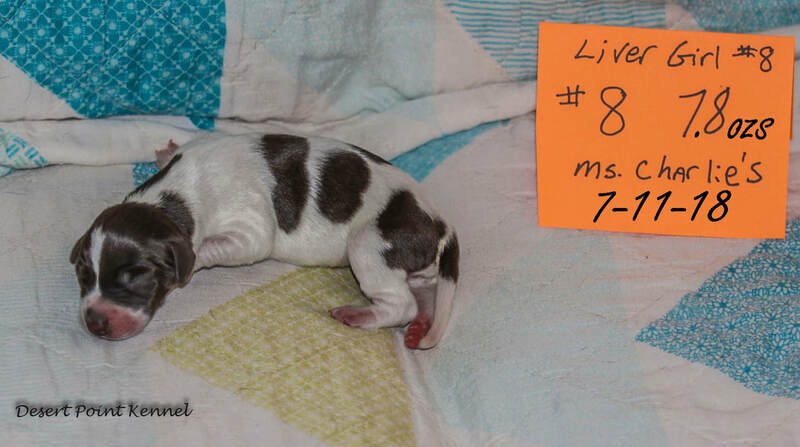 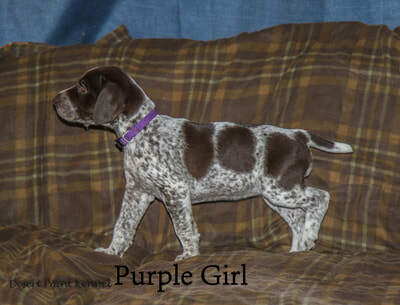 This breeding has the mother line of Lacey at 30 %. 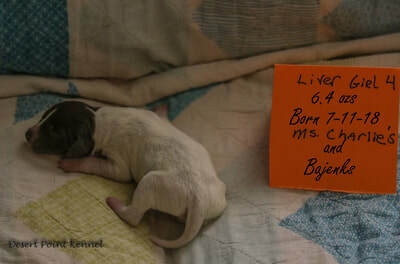 Our David, Vera, Jack, and Lady are all grandparents, we have Jack again as a great grandparent, along with Dolly. 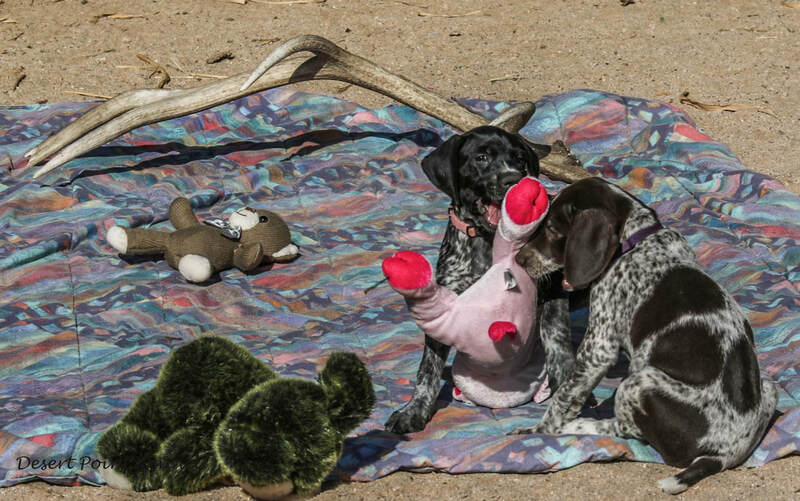 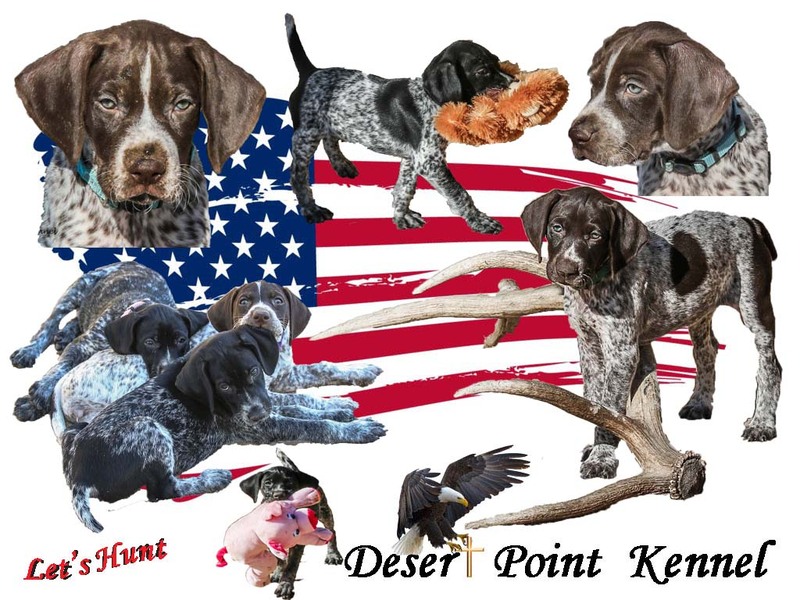 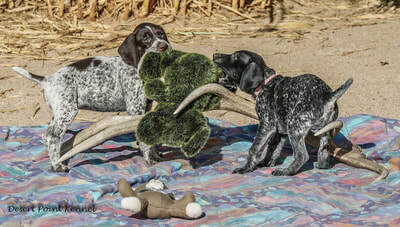 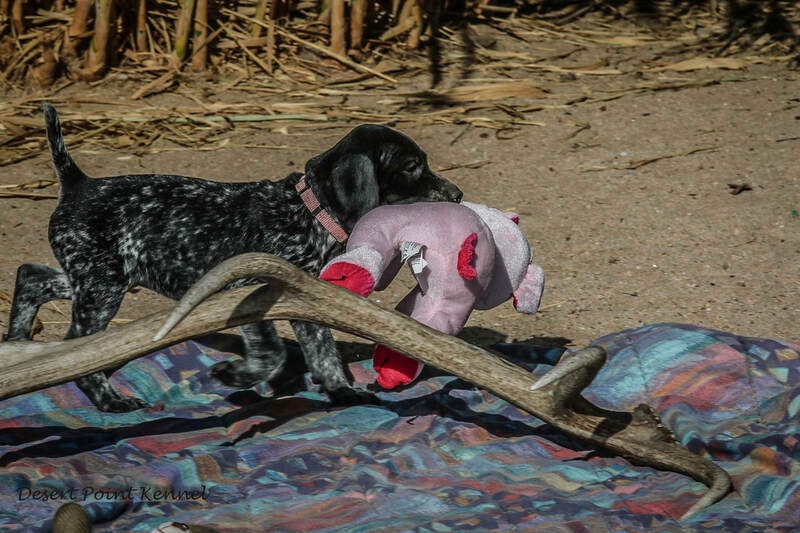 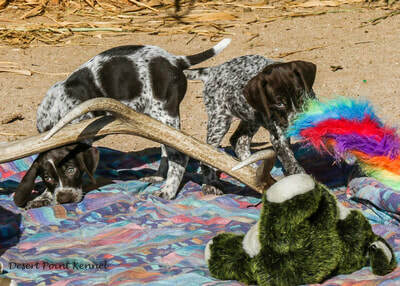 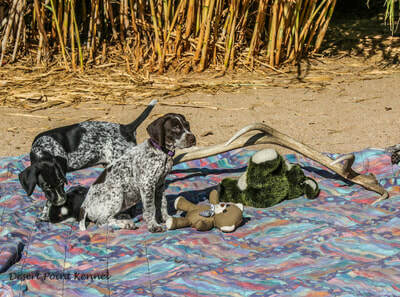 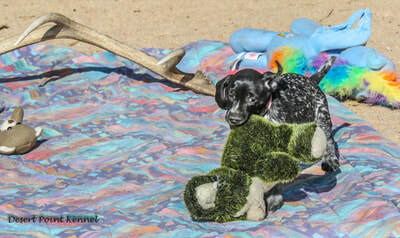 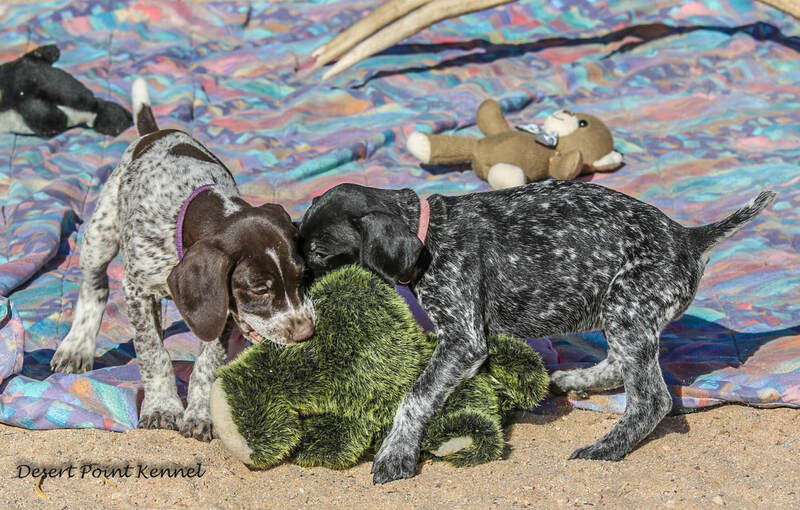 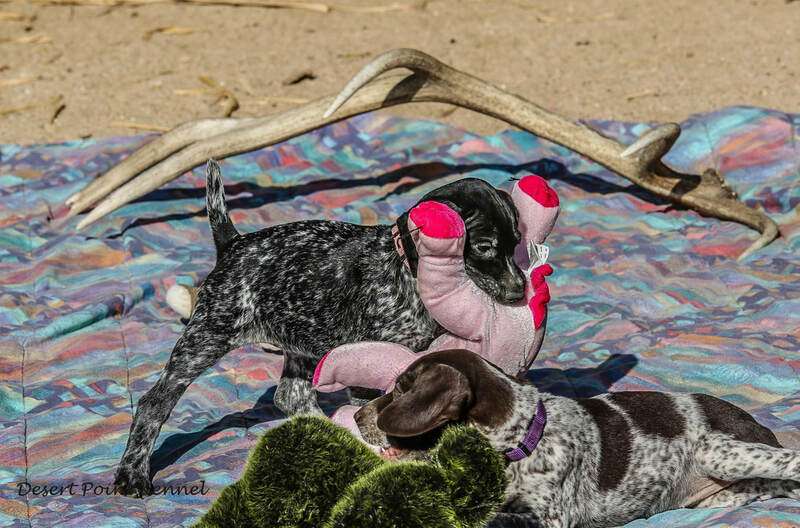 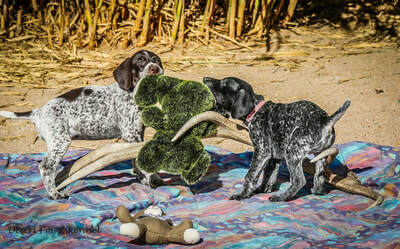 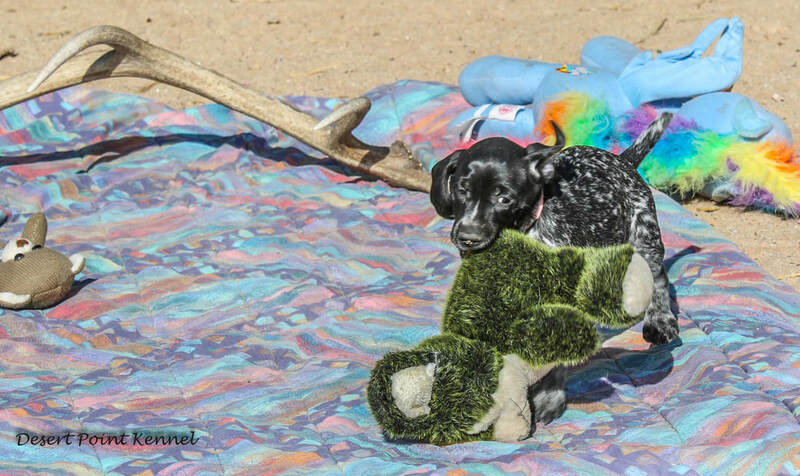 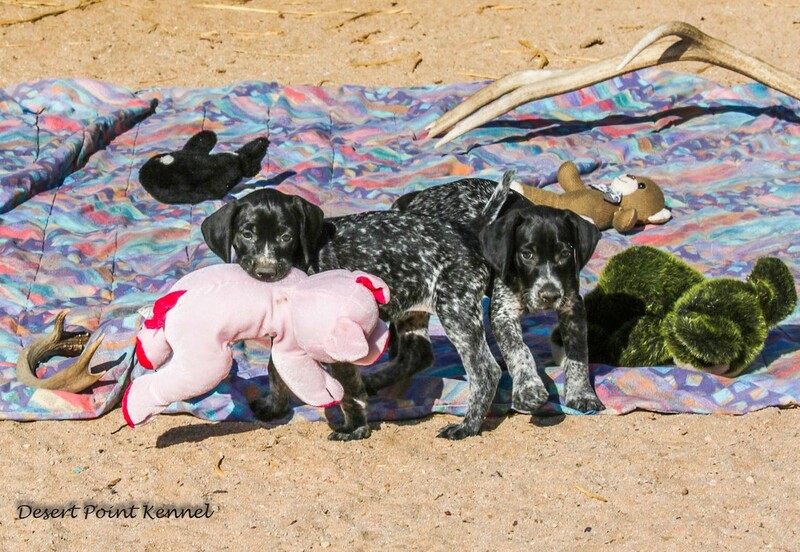 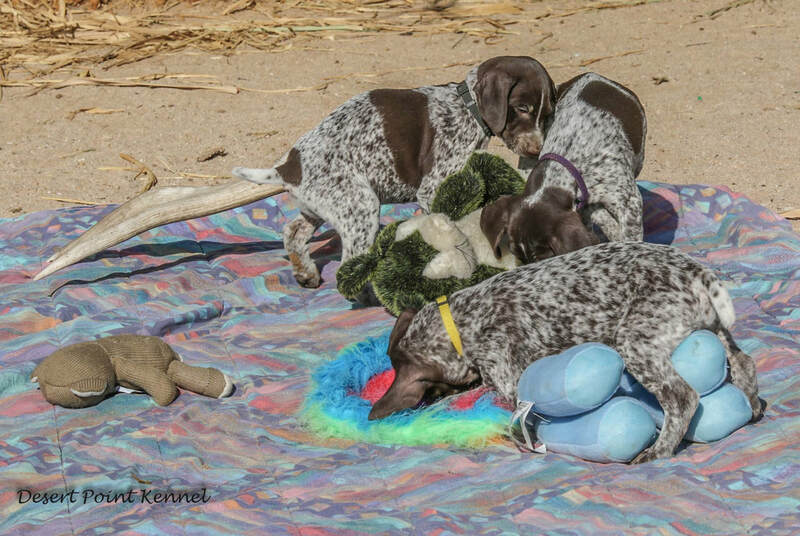 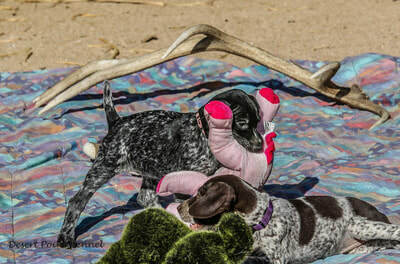 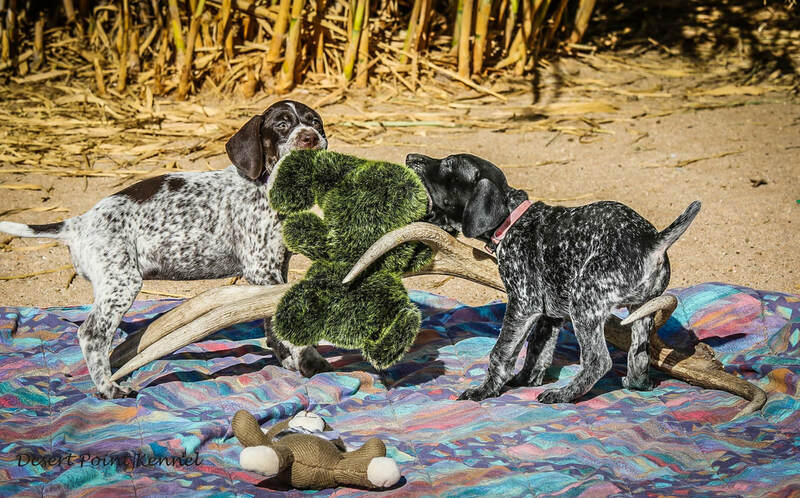 These are some of our very best hunting and family dogs. There is litter room for error in this breeding. 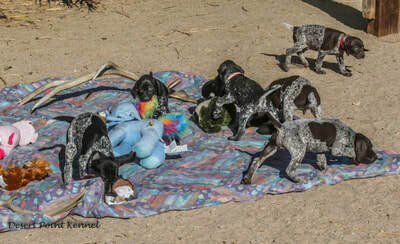 Puppies are just turning 5 weeks old. 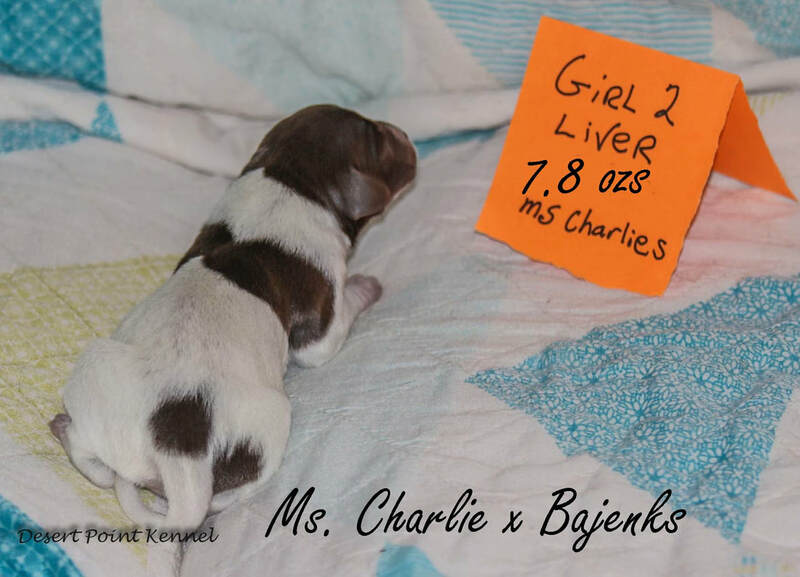 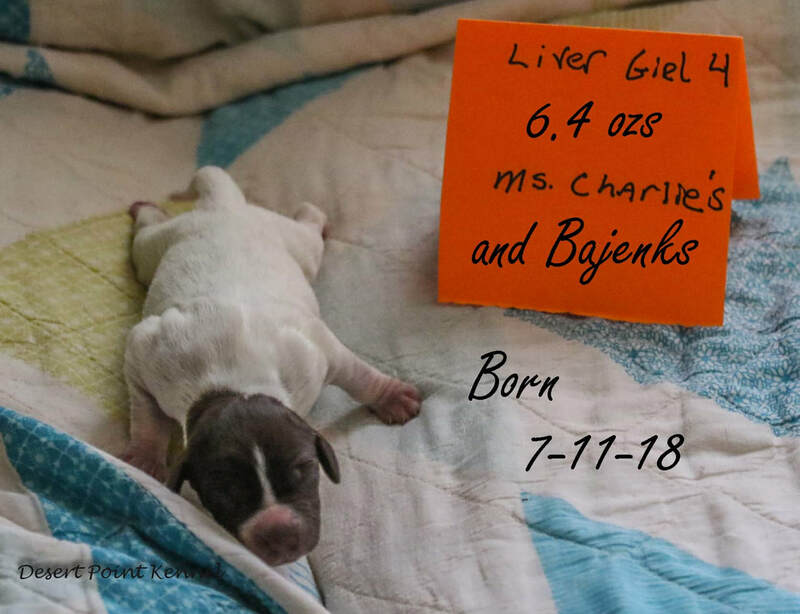 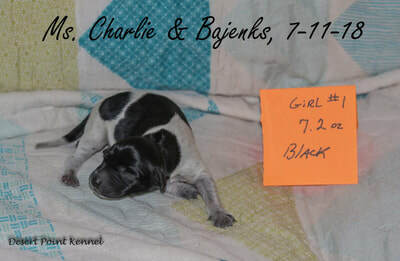 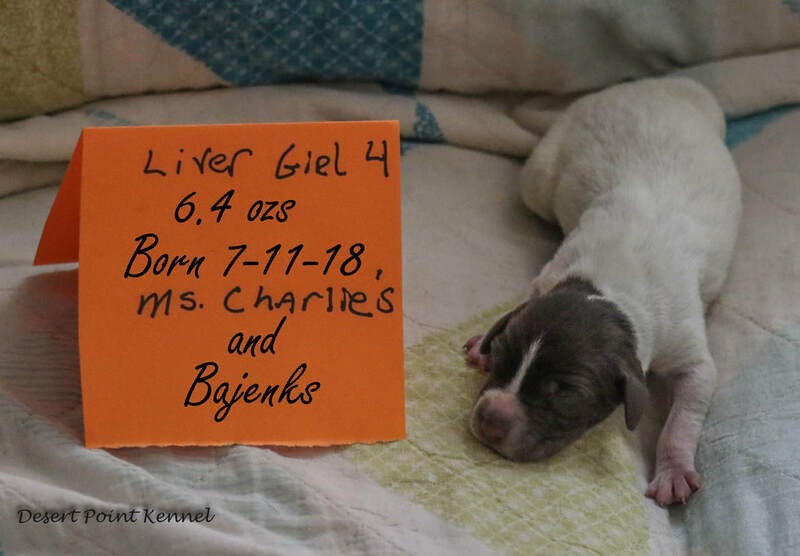 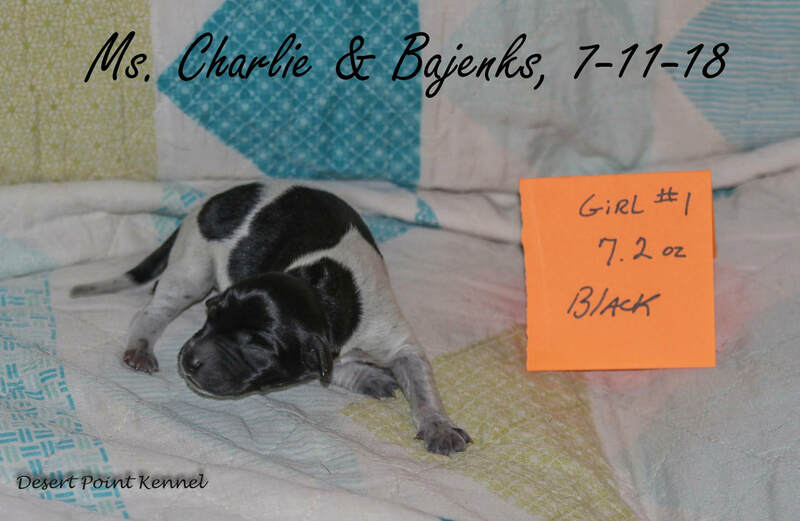 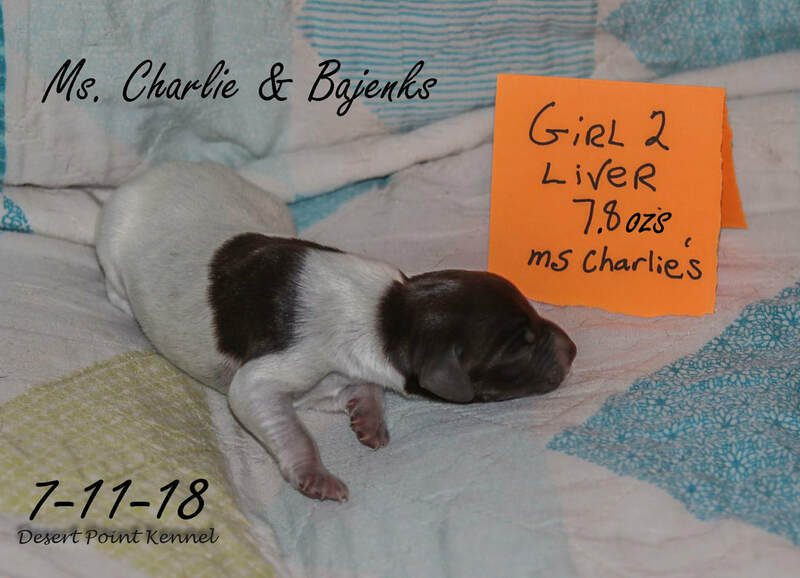 Taken on 8-27-18, Ms. Charlie and Bonnies Pups at almost 7 weeks old.